Thanks to great feedback from members like you, we’ve made a few exciting updates to Design Space®. 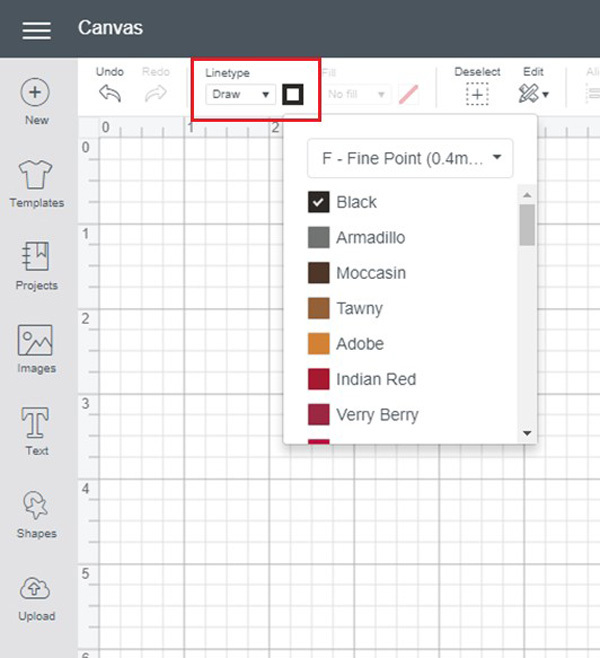 In short, we moved Linetype (Cut, Draw, Score), Print Then Cut, and color selection from the layers panel to the edit toolbar. Here’s a quick overview of the changes so you can jump in and try ‘em out! We included a video to a webinar at the bottom of this blog which will walk you through in great detail all you need to know about this exciting change in Design Space. 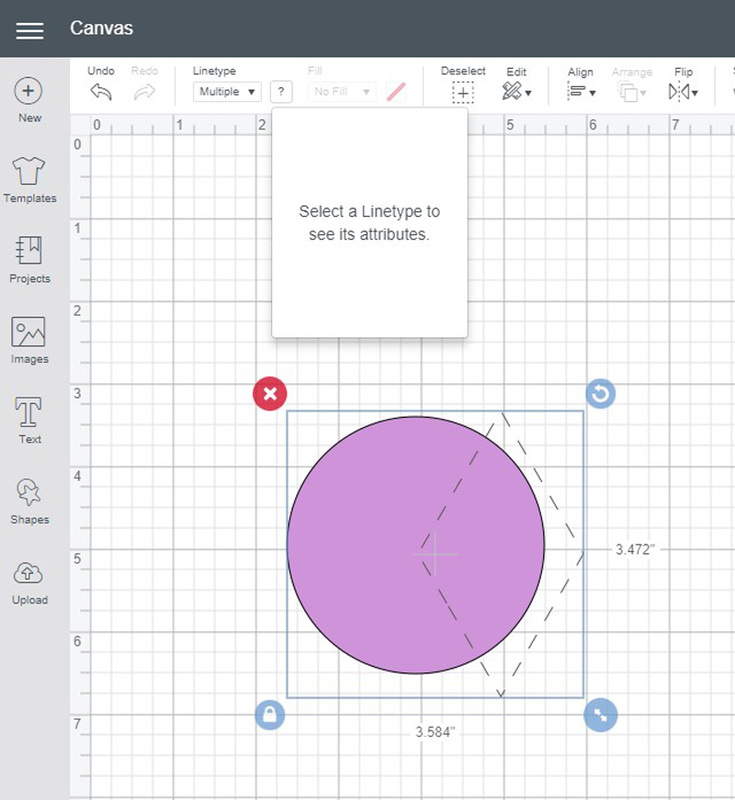 Use the Linetype dropdown to change your object to a Cut, Draw or Score object. Print is now found under the Fill dropdown, but we’ll share more about that in a moment. The swatch box next to Linetype opens the Linetype attributes panel. When you have a cut Linetype, use this to select your material color. … Or to select your pen type and color, if you’re working with a Draw Linetype. 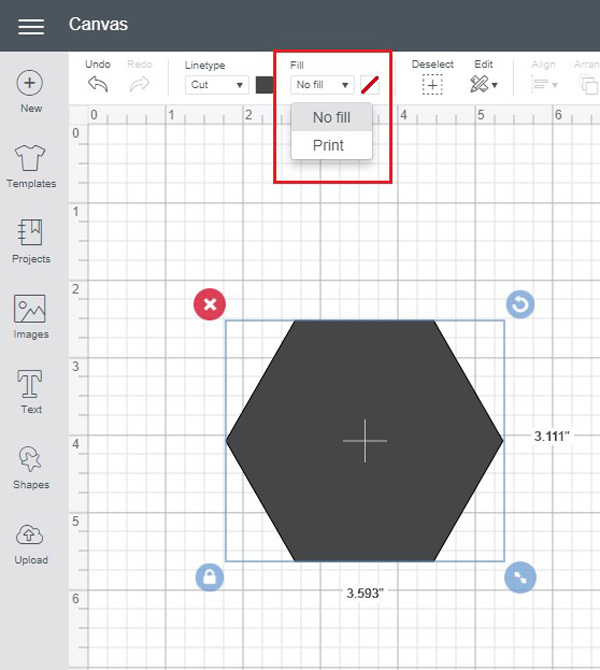 To change your cut to a Print Then Cut object, use Fill. By default, cut objects have no fill. To add a print fill, from the Fill dropdown, select Print. Now that you have a Print Then Cut object, you can change its color. Just click the Fill attributes swatch and select a new color. 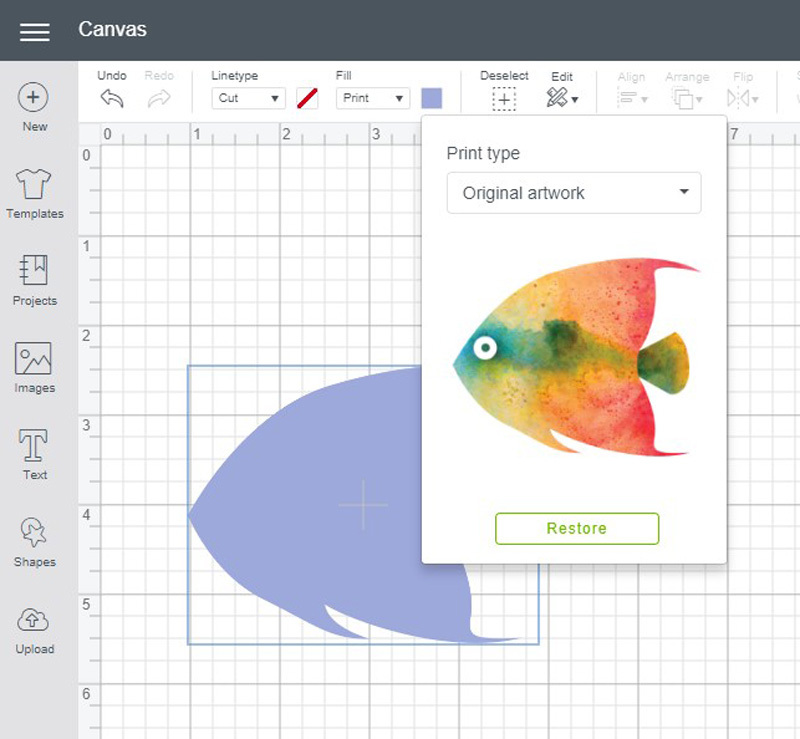 Your object will automatically update on the canvas. 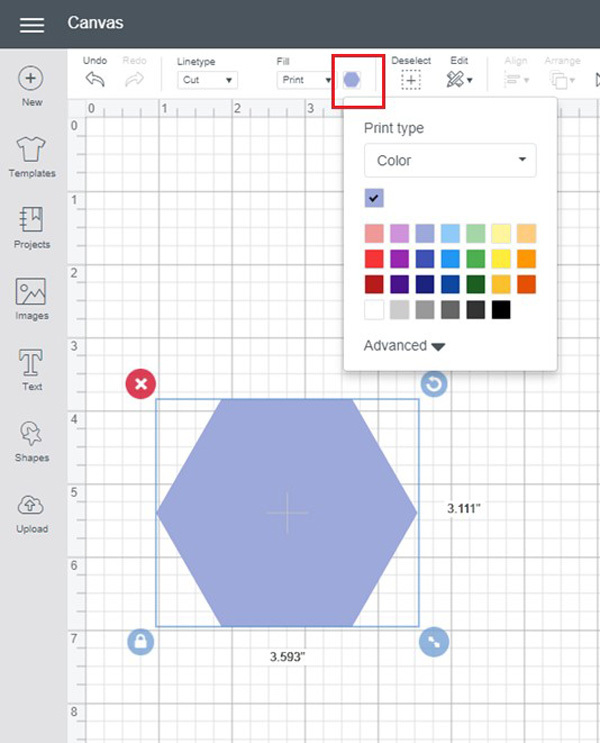 If you want to add a pattern, select Pattern from the Print type dropdown, then choose your pattern. Voila! Your object now has a pattern fill! Design Space has LOTS of print fill options. To search by color or ownership type, just use the Filter link to open a flyout window. 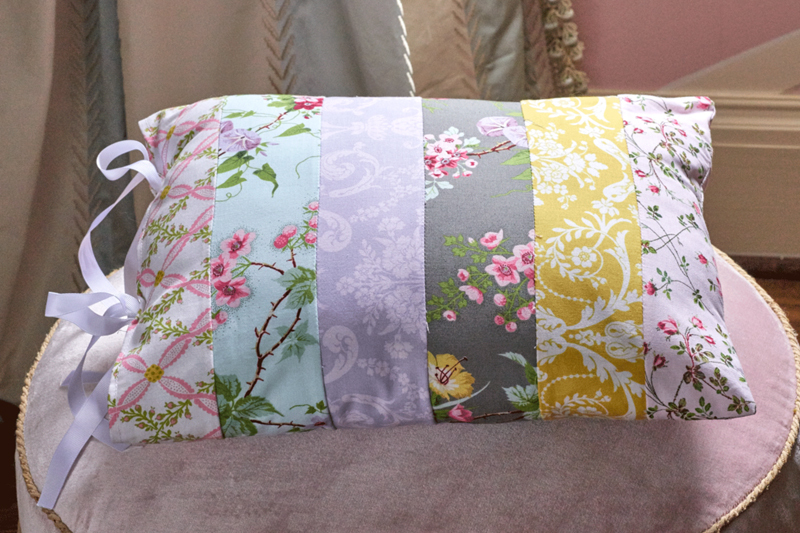 Once you find the perfect pattern, you can use the Edit Pattern link to refine it to your liking. 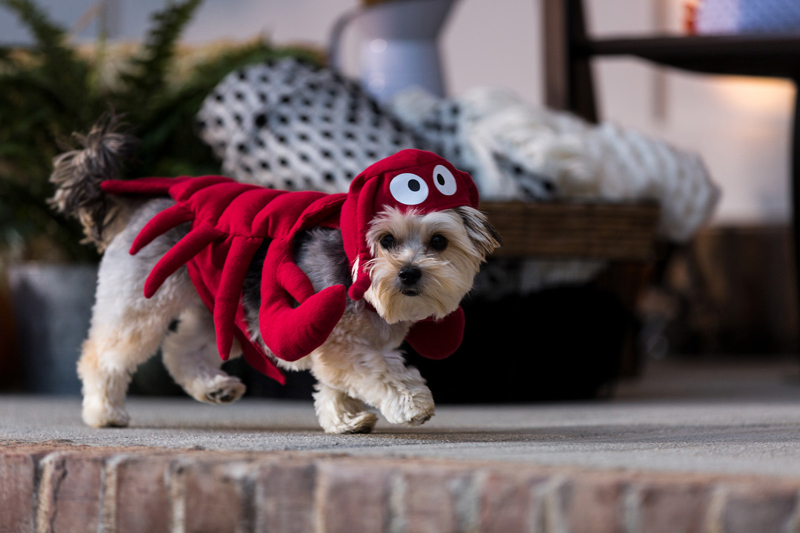 Want to undo the changes you made to a Print Then Cut image? No problem. Use the Restore button found on the Original Artwork Print type and it will revert back to its original design. Wait. Hold the phone. Did I just say multi-layer updates? Yes, I did! 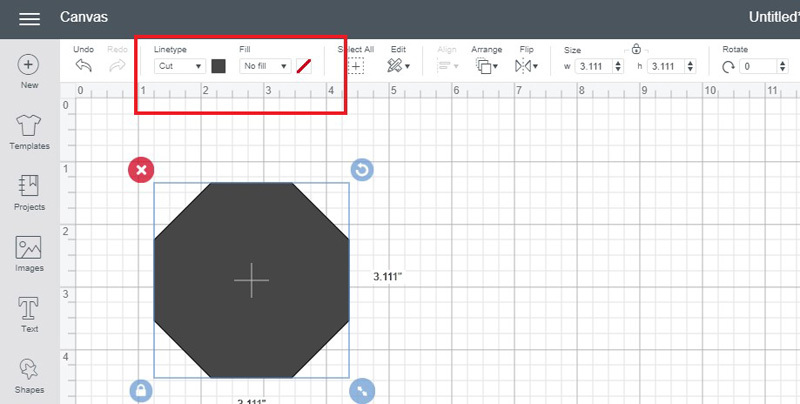 This new layout lets you manipulate more than one layer at a time. Simply select all of the objects you’d like to change and use the dropdowns and swatches as necessary. Note: Not all functions can be changed at the same time. Available options will vary based on the Linetype and various attributes of your selected objects. To find image information, right click on the specific layer. You’ll find the image, font, or cartridge information at the bottom. That’s it. Enjoy the updates and be sure to let us know what you think! Show us your personalized jammies and enter to win a Cricut Maker® + Everything Materials Bundle, Maker Tools and Accessories worth over $700! Winner: Alex Baldi was the winner for her creative and unique Shake-It Buffalo Snowglobe PJs. We are excited to announce our first ever Holiday Jammies Challenge! Time to get creative and show us your custom pajama designs and enter to win an amazing assortment of Cricut goodies! What kind of jammies (AKA pajamas, PJs, sleepers) should I make? We invite you to submit all kinds of customized pajama designs. 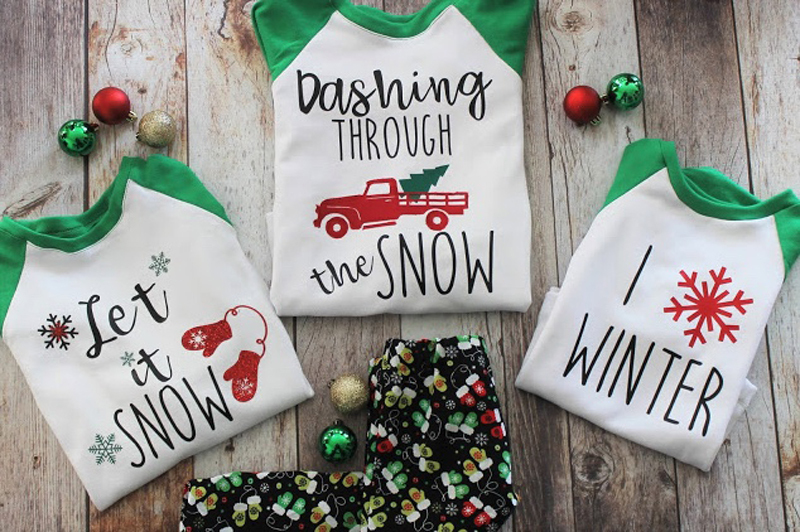 They can be anything from simple iron-on projects to made-from-scratch ensembles—we just ask that they are original, creative, use Cricut Fonts and Images and capture your family’s holiday spirit! 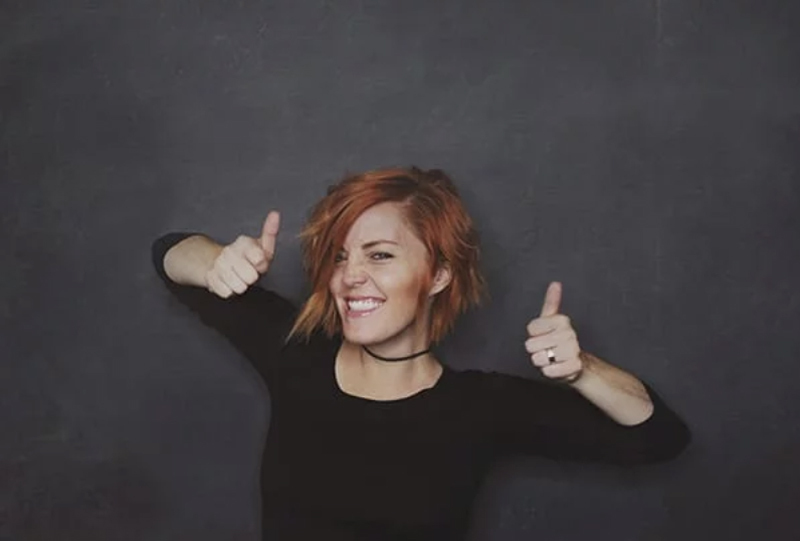 See the bottom of this post for some inspiration! For this challenge, we ask that you submit your designs through the Cricut Community in Design Space®. Follow the steps below to set up your Community profile and then share your project! 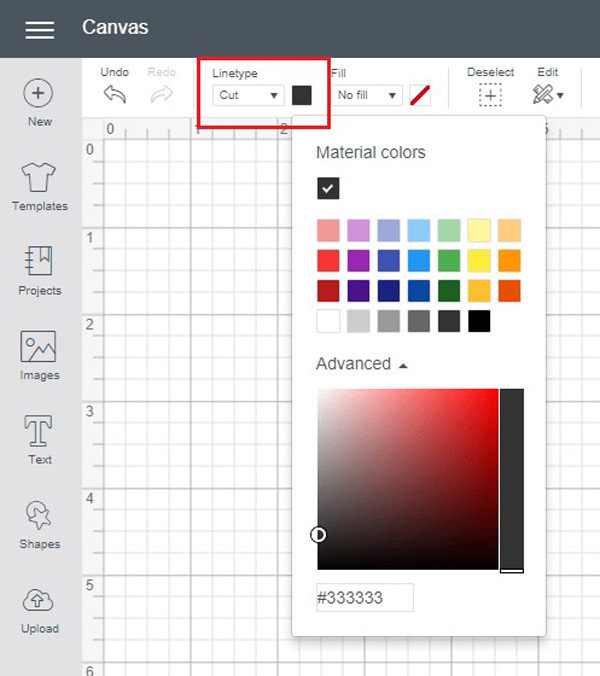 To start, you will need to log into Design Space with your Cricut ID. Next, if you haven’t already, set up your personal profile in Cricut Community by uploading a profile photo and writing a short bio. Click here for step-by-step instructions on how to set up your Design Space profile. Take a photo of your finished jammies so you can upload it in Design Space. It can be a picture of the jammies themselves or your family members wearing them! Here are some handy photo tips to get the most out of your project photos. With photos in hand, navigate to the My Projects page and click the Share icon below your project. Edit the project name, add a short description, and upload at least one photo of your finished project. Make sure the "Visible to Others" toggle is green and click Save. Now the project will appear on your profile! Here are complete instructions on how to share a project if needed. Congratulations! 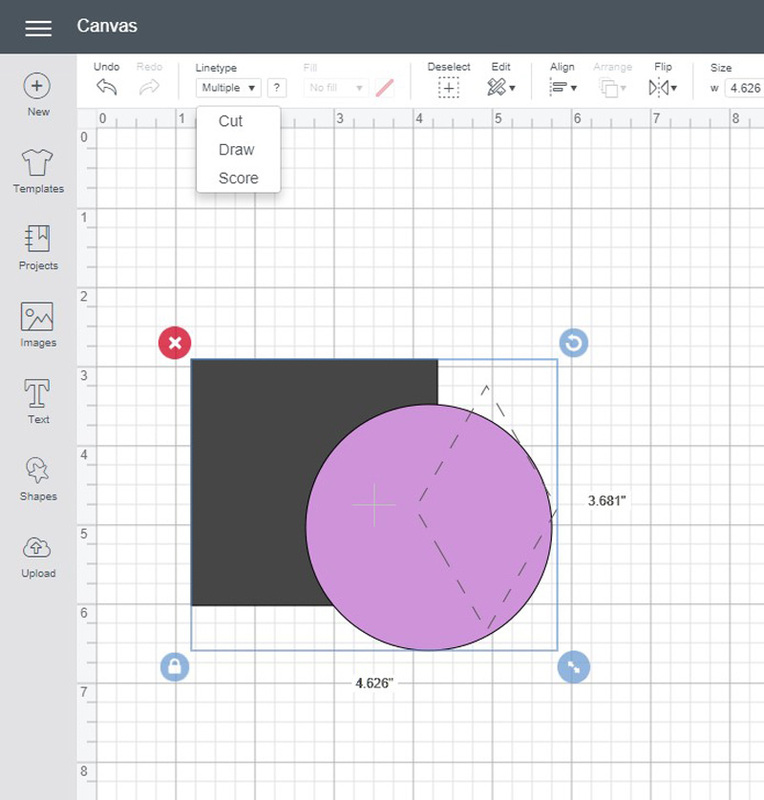 You have shared your project and posted it to Cricut Community. Click on the link below to add your information and you will be entered to win the Jammies Challenge. The Holiday Jammies Challenge closed on December 3, 2018 and we plan to announce the winner here on the blog on December 8, 2018. Be sure to check back to see if you have won! Best of luck and have fun making your Holiday Jammies! 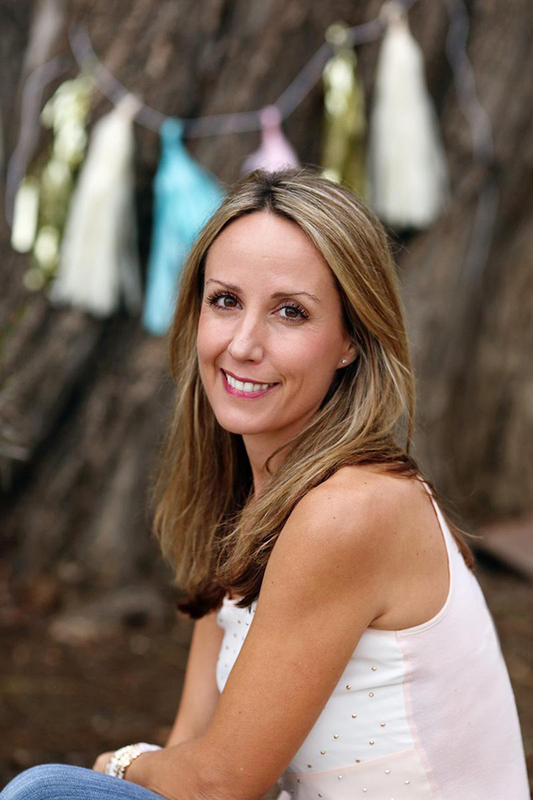 Check out this great blog post from Sugar Coated Housewife. 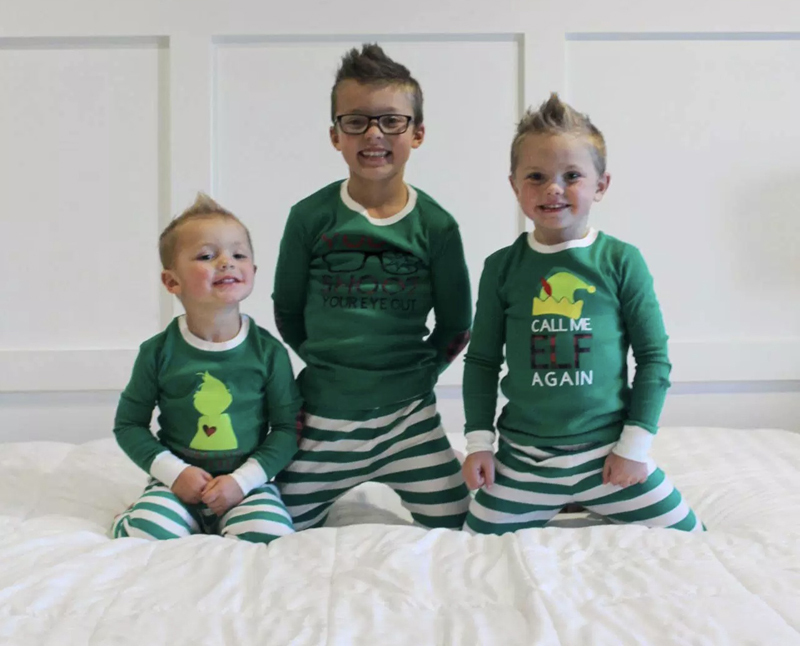 Check out this great blog post and jammies from GYCT Designs. 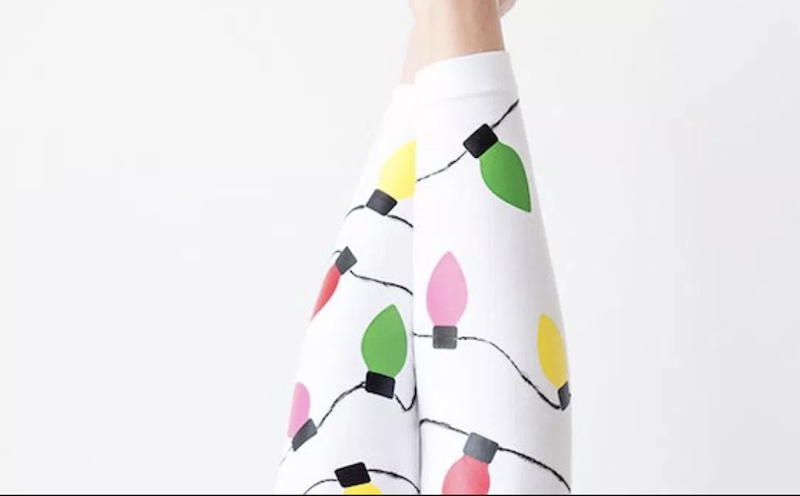 Check out these DIY Christmas Lights Leggings in Design Space. 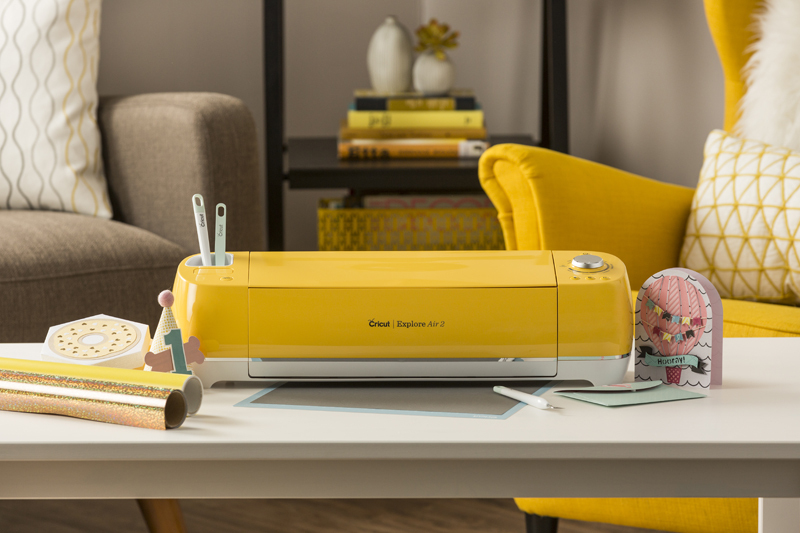 Meet Your Sewing Sidekick: Cricut Maker™. 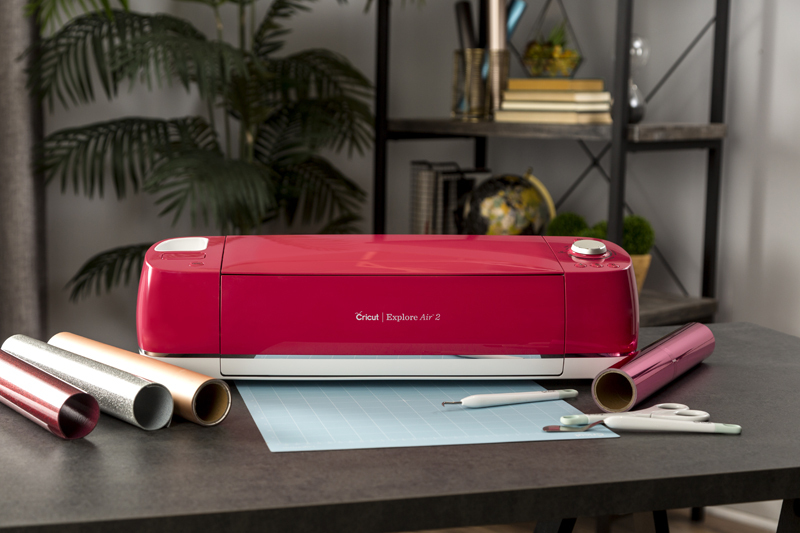 Cricut Maker is the most versatile smart cutting machine on the market and it’s tailor-made for sewing enthusiasts, whether you’re just starting out or have a lifetime of experience. 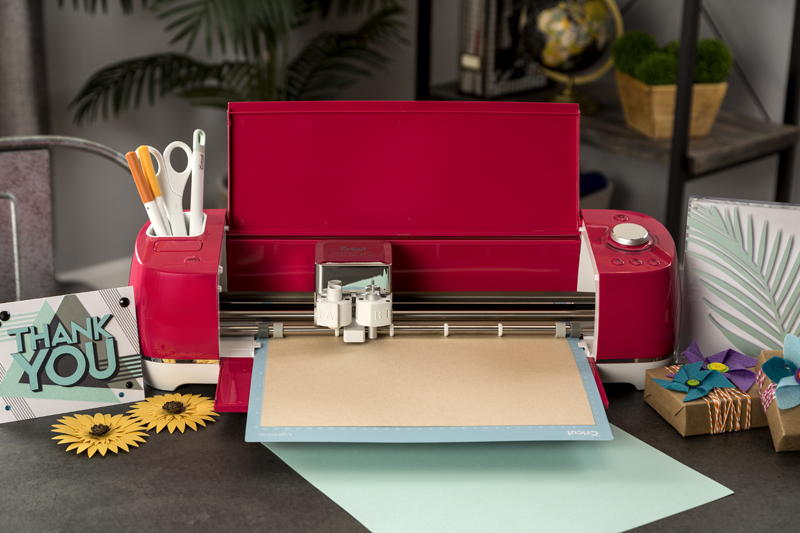 With its expandable suite of tools and the ability to cut hundreds of materials and textiles, Cricut Maker is a sewer’s dream. 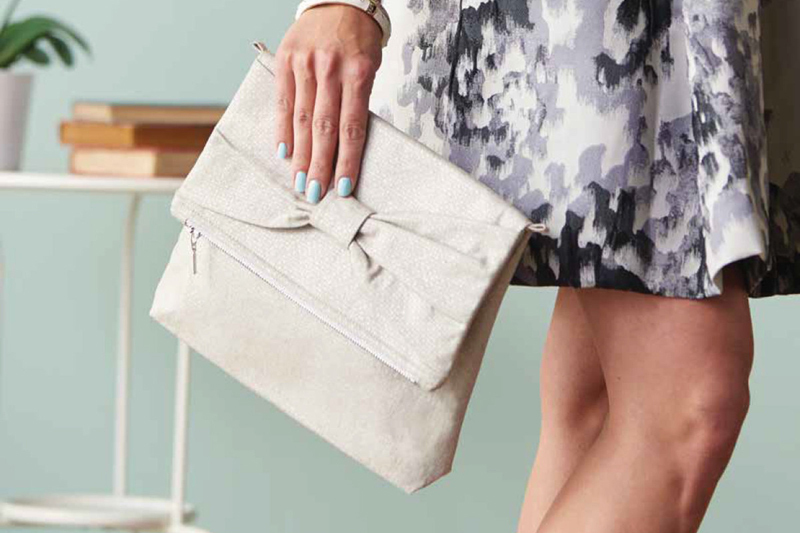 Sewing patterns made fun and easy. 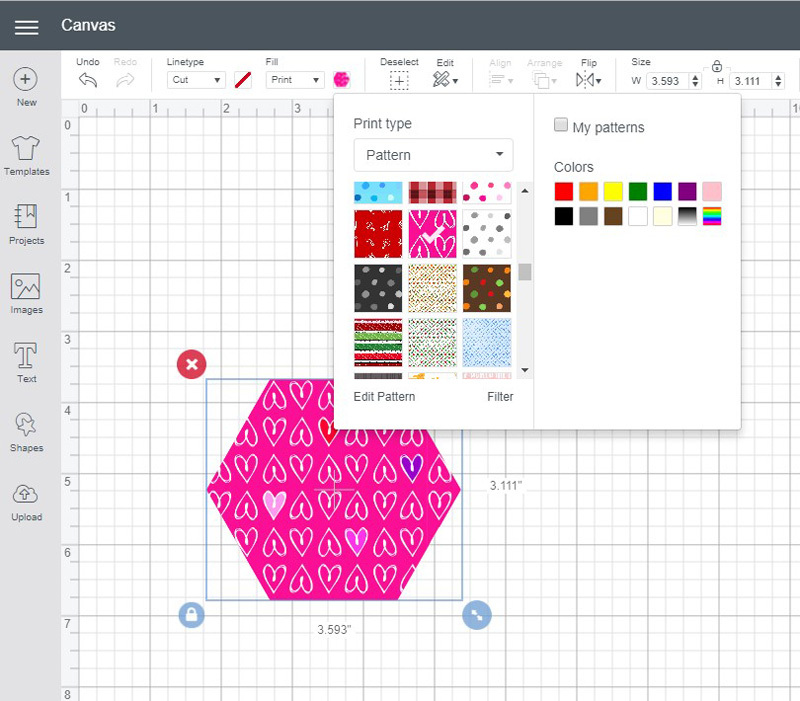 You can access hundreds of digital patterns and templates in Design Space®, the cloud-based software that comes with your machine, or go all out and upload your own. 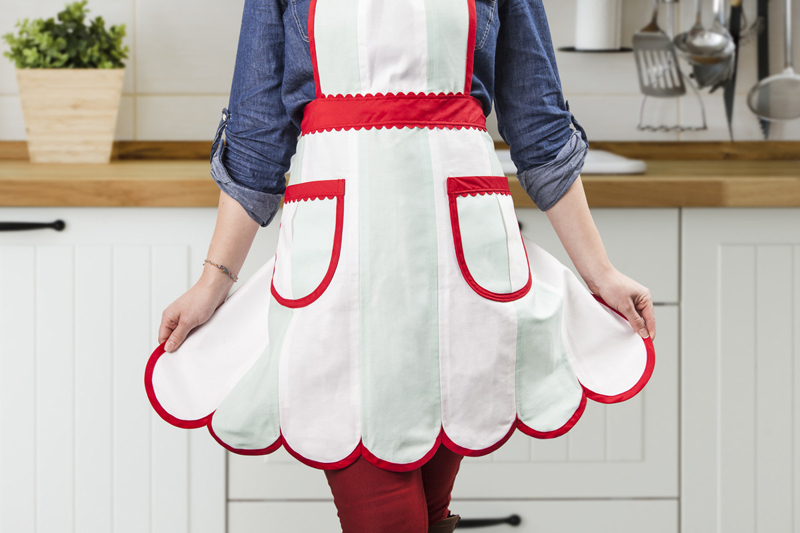 Our pattern library includes designs and patterns from popular pattern makers, including Sew News and Simplicity®, so you’ll always be ready to create your next sewing masterpiece. 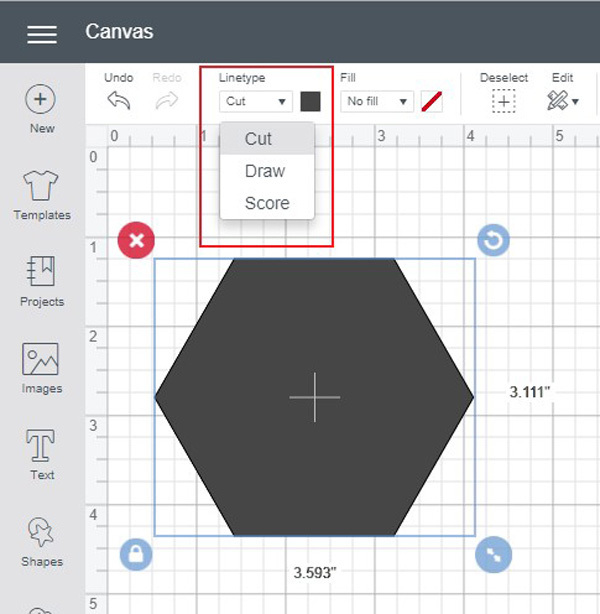 One of the most jaw-dropping features is how Cricut Maker handles patterns. 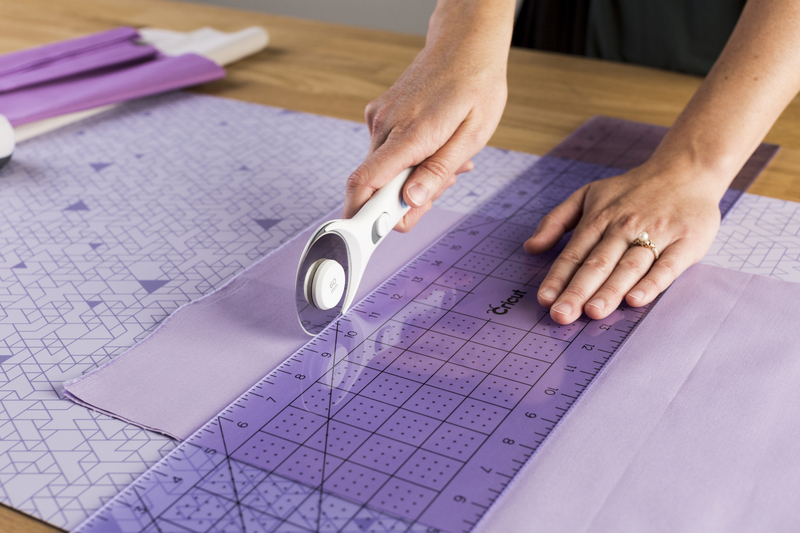 It has the capability to transfer all of the pattern markings directly onto your fabric, so you’ll never miss a mark again. 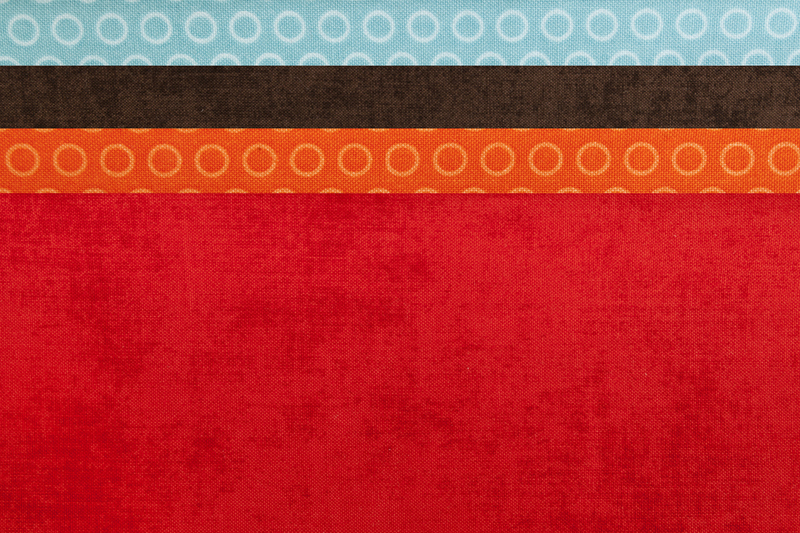 Design Space will even tell you which direction the grain of your fabric should go when you load your mats. 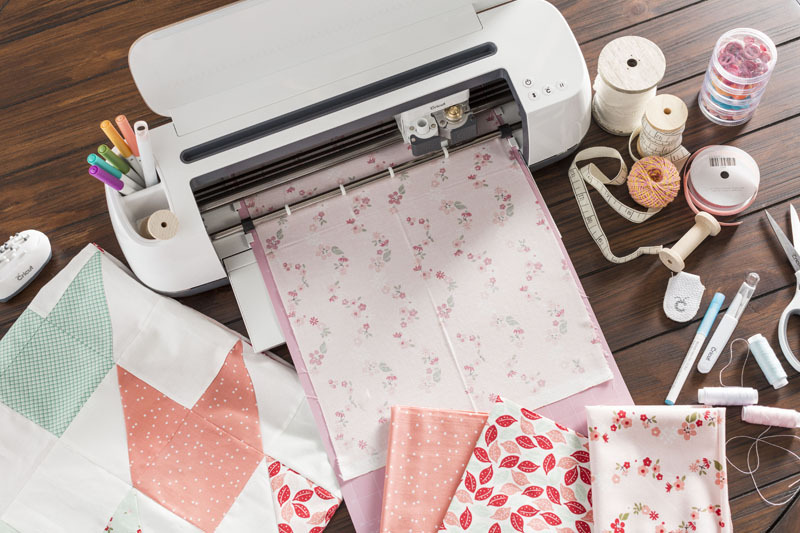 And Cricut Maker cuts and marks your pattern pieces in just a few clicks, which means you’ll have plenty of time to focus on the fun part – sewing it all together! 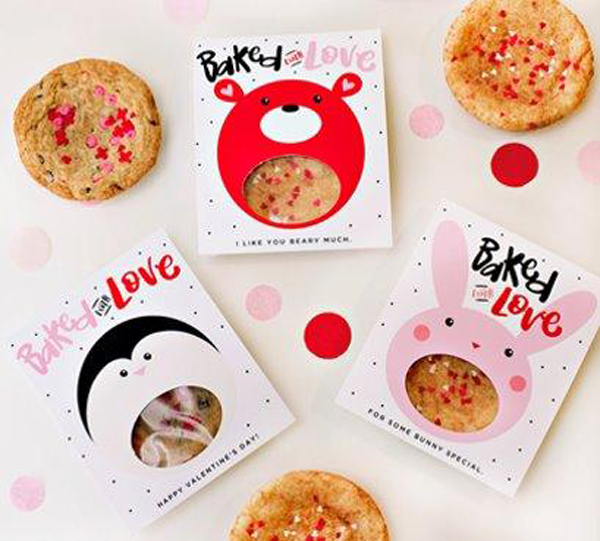 Select your design or make it from scratch. Place your material on a mat, load it in the machine, and press Go. Cricut Maker handles the rest. Sew it all together and you’re done! Optional: Play it cool when people ask you how you did it. 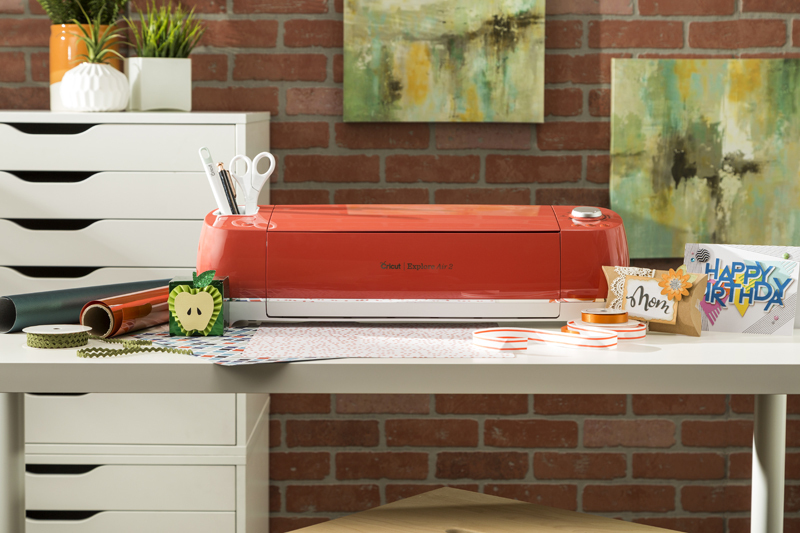 Cricut offers a wide variety of tools to make sewing projects a breeze. 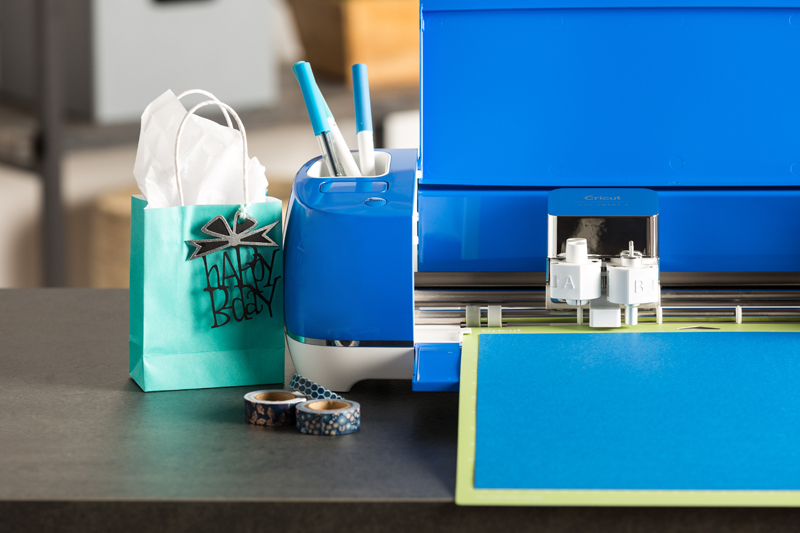 Here are all your must-haves for Cricut Maker if you’re a sewing enthusiast. 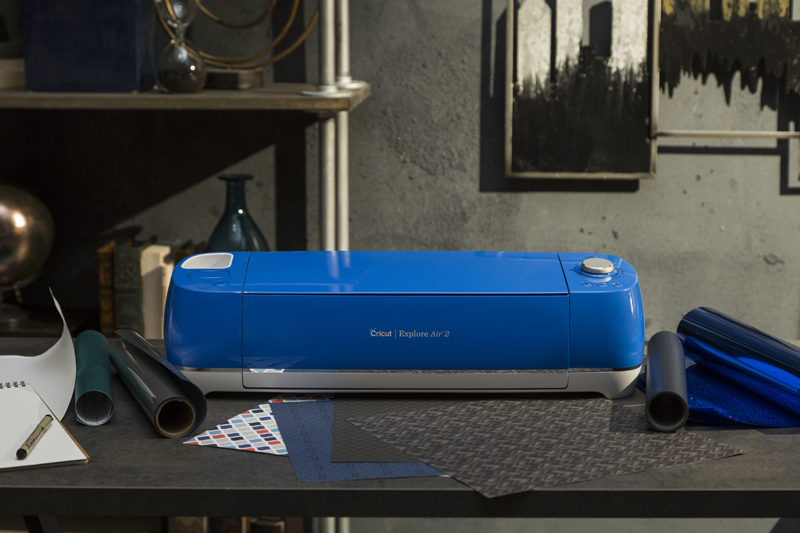 Rotary Blade brings infinitely customizable, precision fabric cutting to the home for the very first time. Use it to cut soft, flexible materials, like cotton, fleece, and denim. 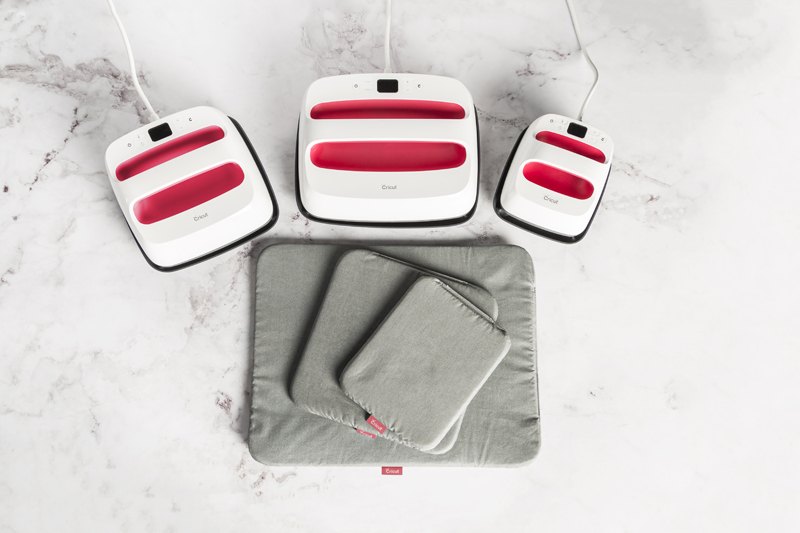 With its gliding, rolling action, it cuts virtually any fabric quickly and accurately – without backing material. Rotary Blade comes in the box with Cricut Maker. 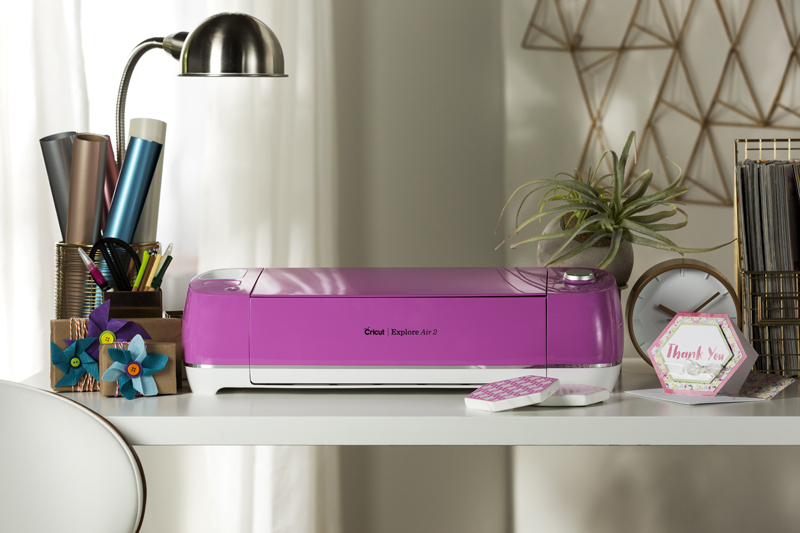 Shop Cricut Maker now. Bonded-Fabric Blade + Housing is a drag blade made from German carbide steel. If you need to cut bonded, basted, fusible, or stabilized fabric, this blade’s your go-to. Bonded-Fabric Blade is sold separately. Shop Bonded-Fabric Blade now. 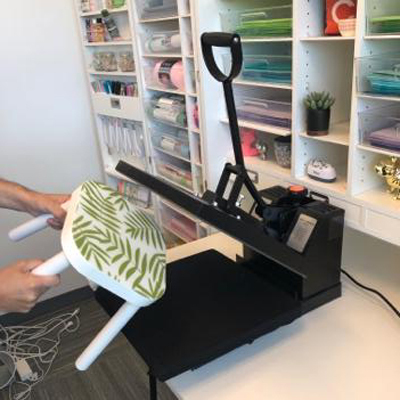 Cricut Maker has the technology to draw on your fabric so it’s easy to mark all of your pattern pieces before they’re cut out on the machine. 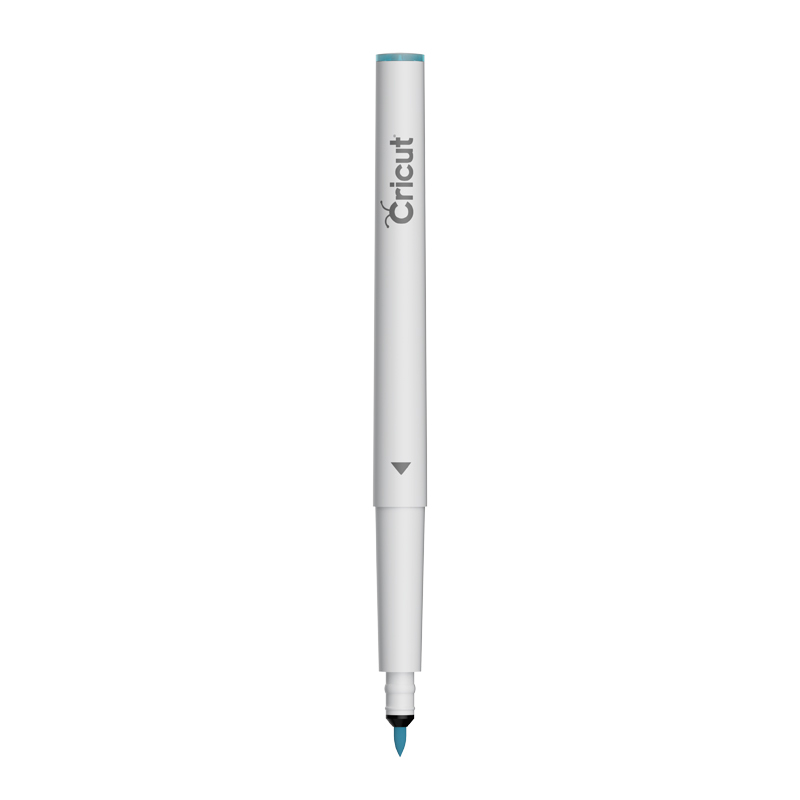 Cricut Washable Fabric Pen has a water-soluble ink so you can wash your pieces after they’re sewn together. Washable Fabric Pen is sold separately. Shop Washable Fabric Pen now. 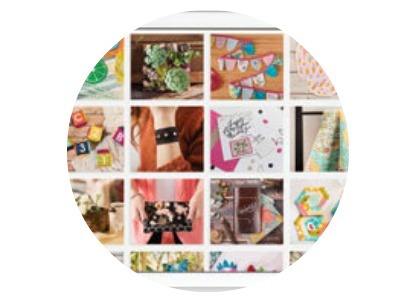 Cricut FabricGrip™ Mat, 12" x 12"
FabricGrip Mat combines increased strength and density with a light adhesive to create beautifully cut fabrics. 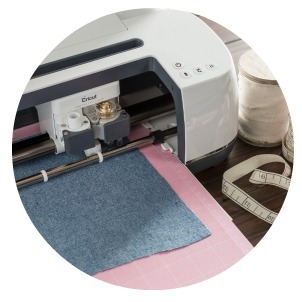 Use with Cricut® machines and Rotary Blade or Bonded-Fabric Blade. Cricut FabricGrip Mat, 12" x 12" comes with Cricut Maker. 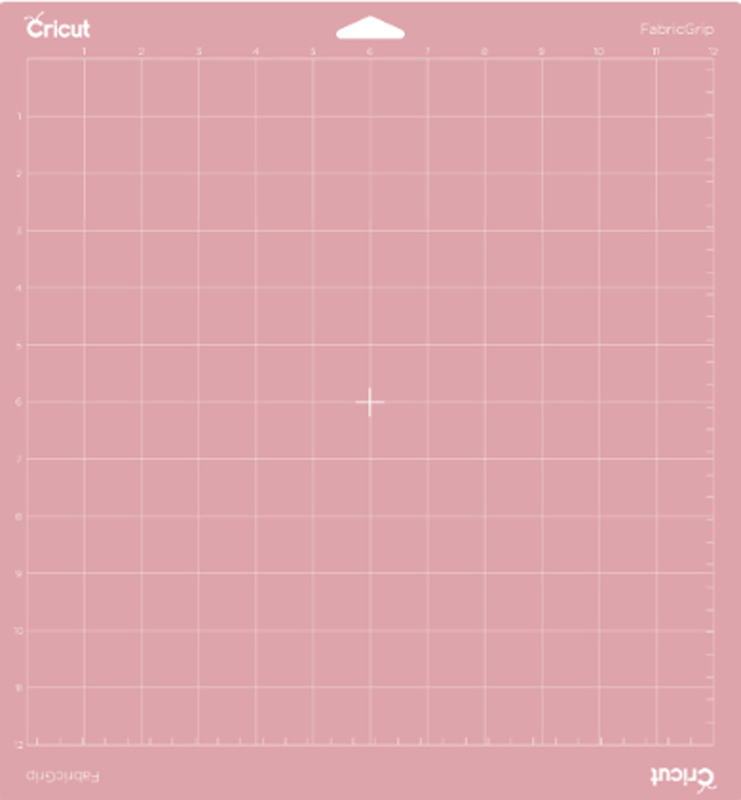 You can also purchase a FabricGrip Mat, 12" x 24" for larger-scale projects that is sold separately. 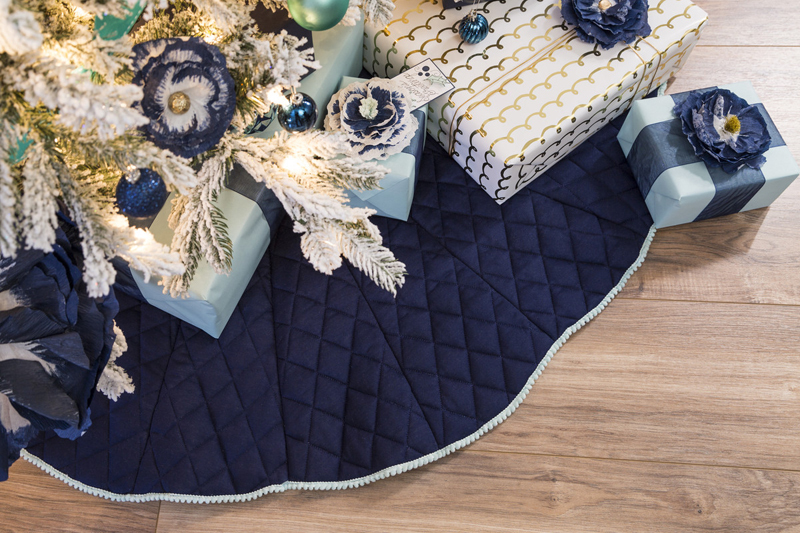 Shop the FabricGrip Mat, 12" x 24" now. 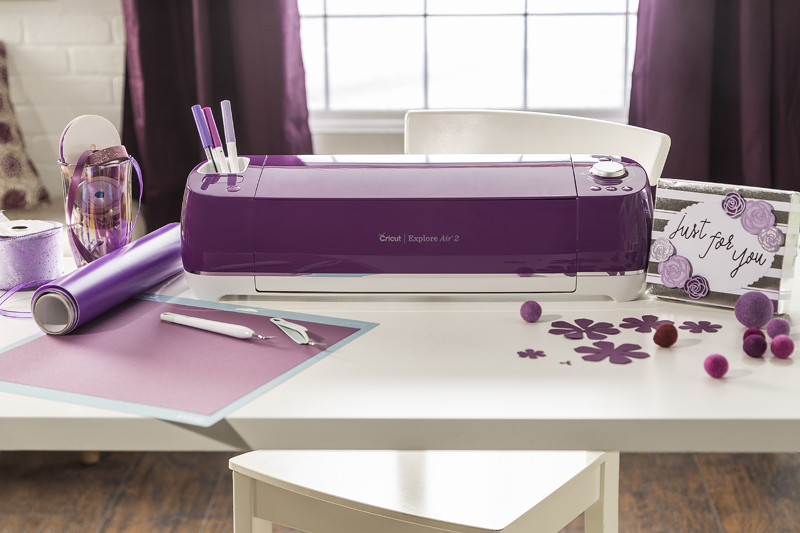 Get inspired to create with Cricut materials for the sewing obsessed. 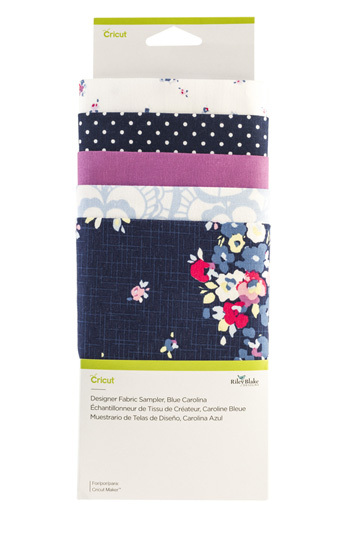 Fusible Fabric is simple, versatile, and great for creating sewing and quilting accents – no interfacing or stabilizing needed. 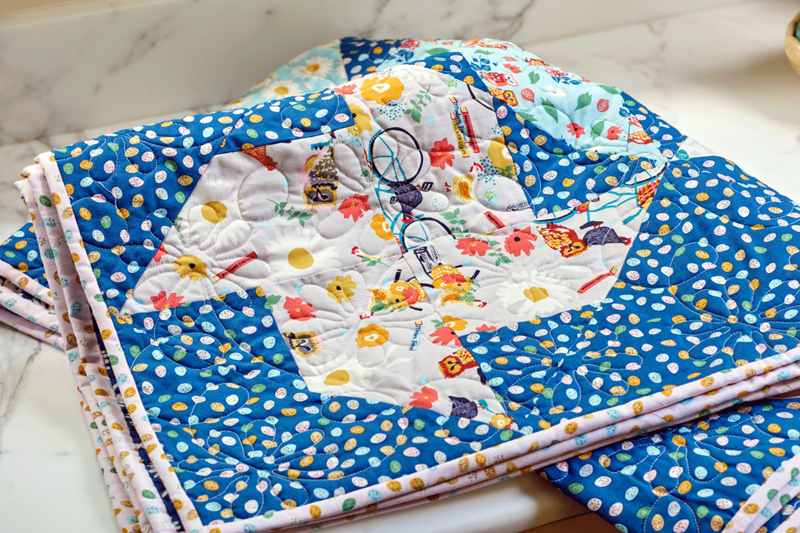 Use it to create phenomenal appliques to customize quilts, totes, pillows, and more. Shop Fusible Fabric now. Designer Fabric is classic, easy-care cotton. Each sampler includes complementary patterns and colors curated by designers, including Riley Blake Designs. 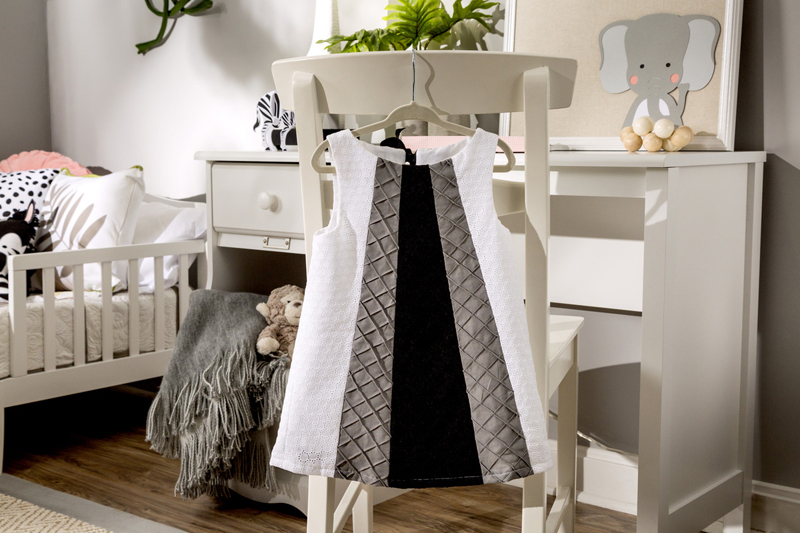 Mix and match to create accessories, toys, quilts, framed fabric accents, and more. Shop Designer Fabric now. It’s not just fabric. 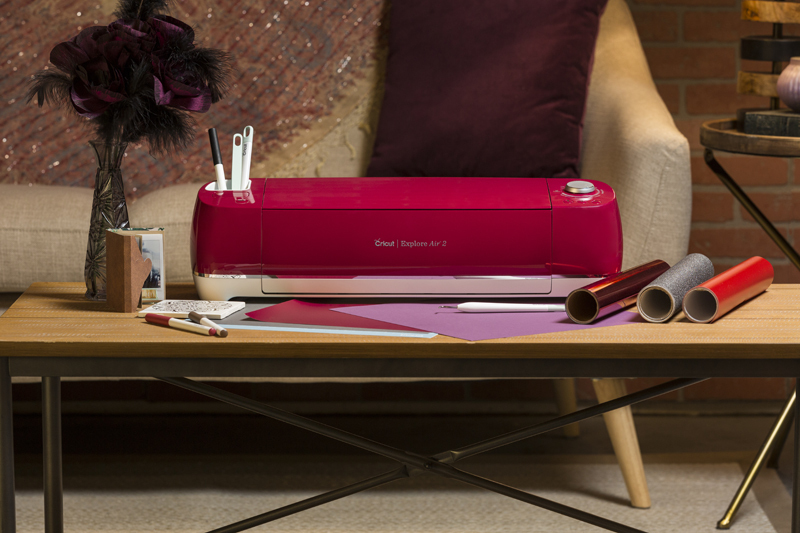 Cricut Maker, our most versatile smart cutting machine, opens up a world of creative possibilities. 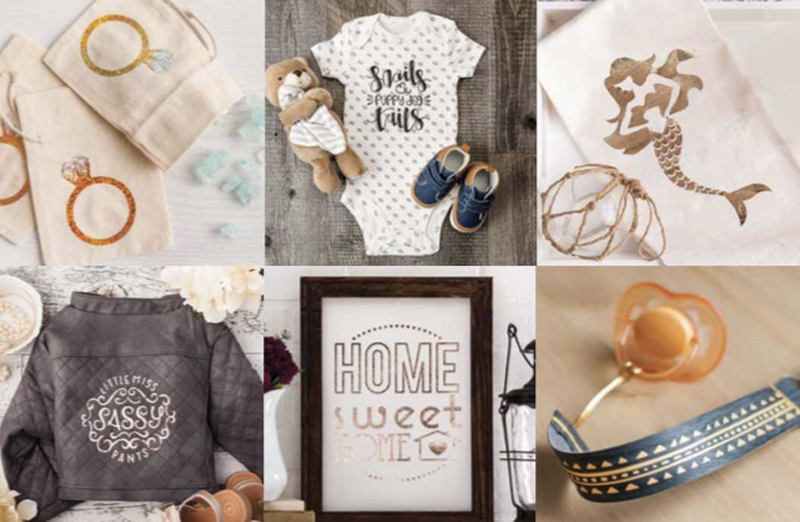 Whether you’re vinyl obsessed, in love with leather, or can’t get enough of crafting with specialty materials like chipboard, basswood, balsa wood, craft board, mat board, and more, Cricut Maker gives you that creative edge. 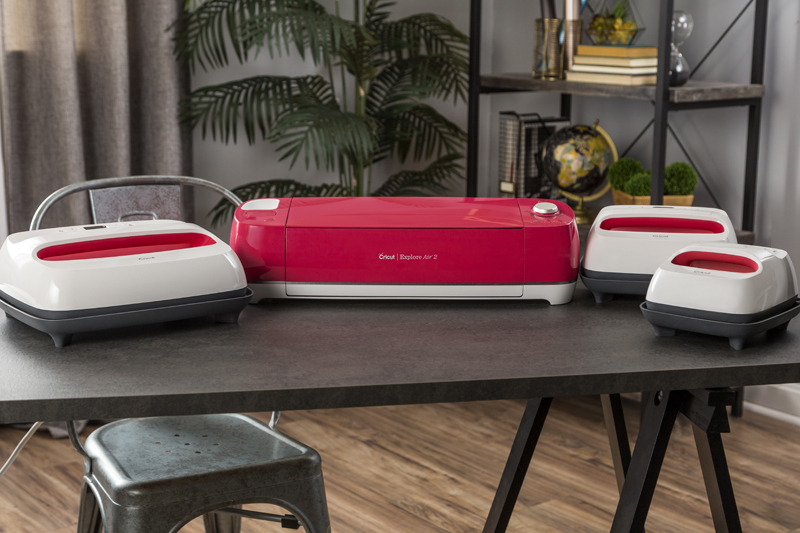 Find out more about Cricut Maker possibilities here. Cricut also makes thoughtfully designed hand tools to complement your cutting machine. 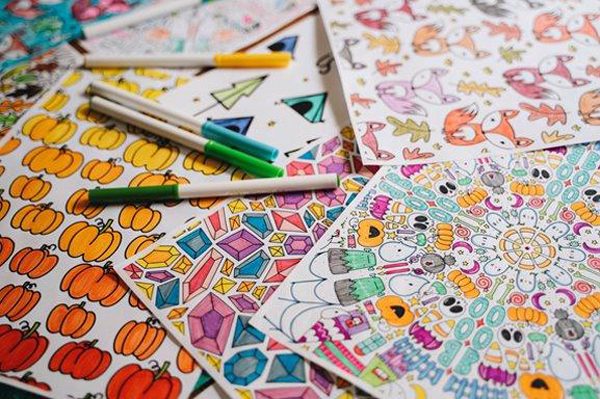 From a hand-held Rotary Cutter to Self-Healing Mats and Acrylic Rulers in a gorgeous array of colors, these tools give you the best possible craft experience and add pops of color to your craft room. Ready. Set. Make sewing magic. Never run out of sewing inspiration. 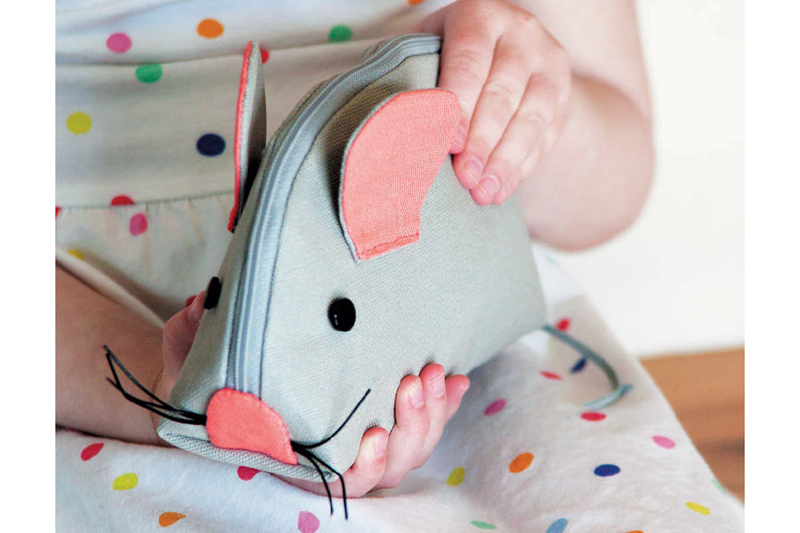 Design Space is packed with ready-to-make sewing projects, patterns, and templates. To access these projects, sign up for a Design Space account. Signing up is quick, easy, and free. Sign up now. Please view this video introducing you to Cricut Maker. For more amazing videos and tutorials, visit Official Cricut Youtube channel. 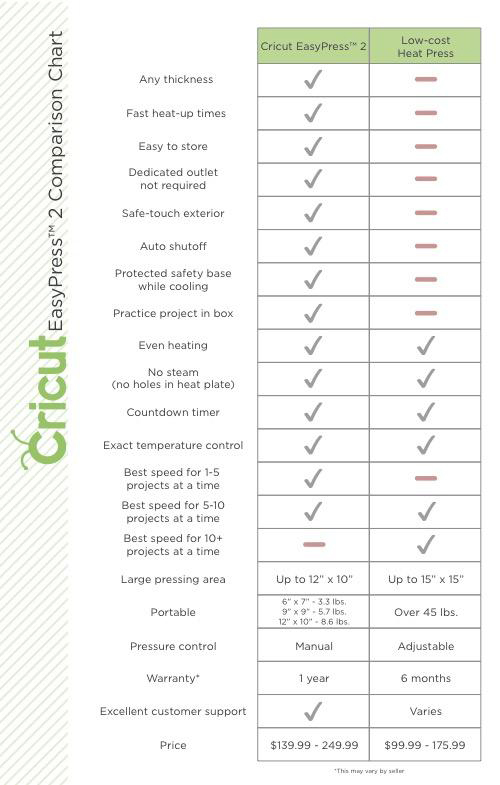 Cricut EasyPress™ 2 or Heat Press–Which Is Right for You? 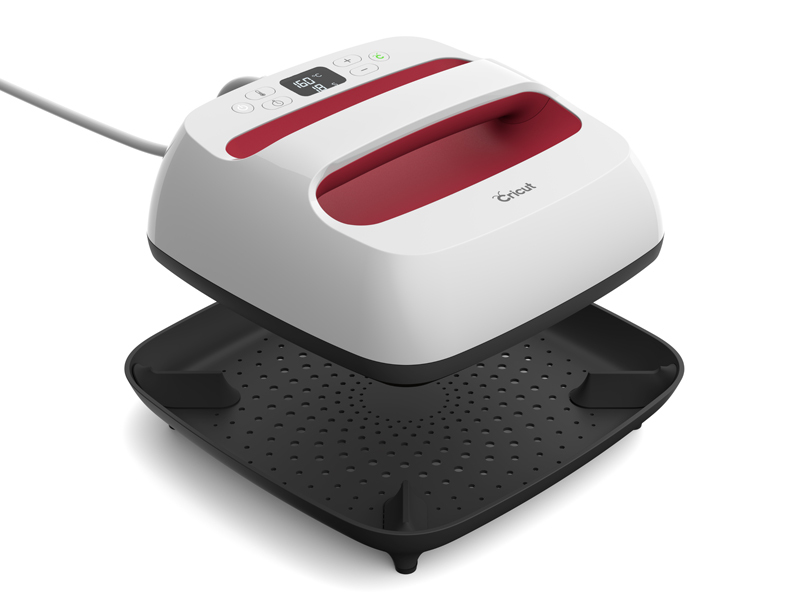 We often get the question: “I am trying to decide what to buy, a Cricut EasyPress 2 or a traditional heat press. What is the difference?” Read on … or if you want to skip to the punchline, we have an easy comparison chart at the end. 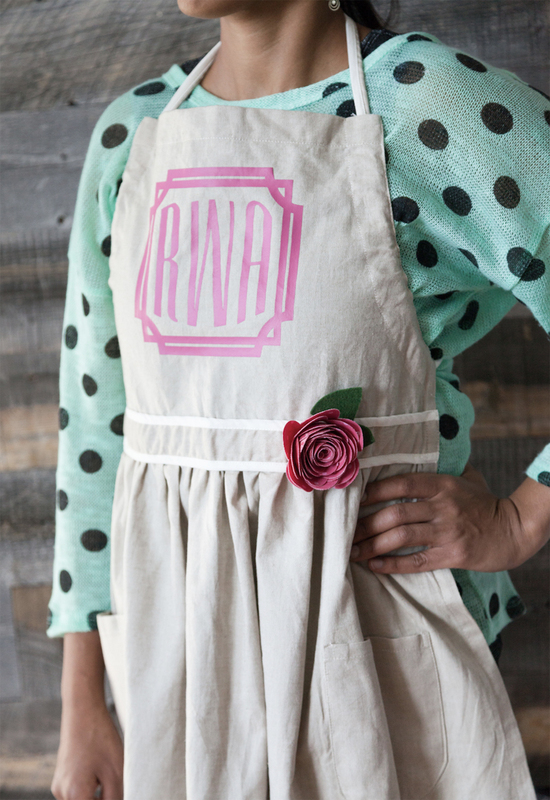 Making flawless iron-on projects requires first and foremost your creativity! That’s a given, but in terms of tools, top on the list is a machine that applies even heat across the design. Next is a hard and stable surface, and finally, some pressure. The myth of super-pressure arises because for optimal outcome you need a flat, stable surface, and not all projects are completely flat. 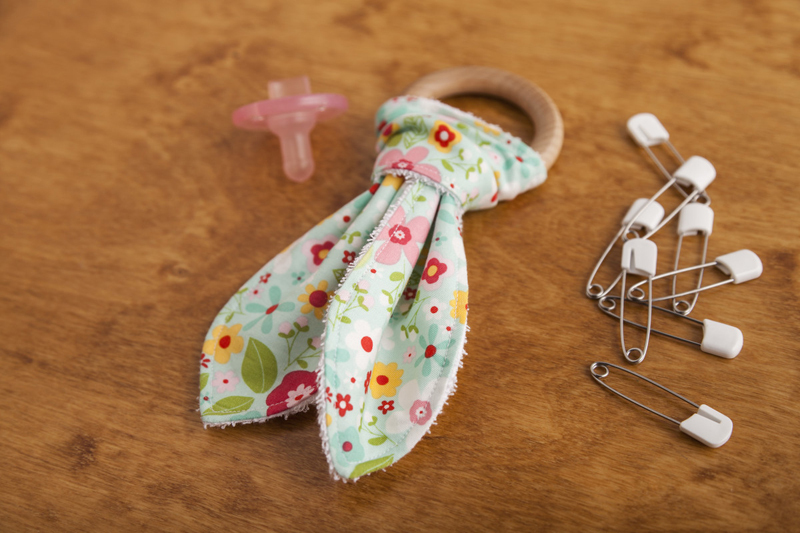 T-shirts have seams, make-up bags have zippers, baby bibs have piping, and on and on. Typical heat press machines have no way to work around these features. In order to work correctly, they use high amounts of pressure to push the feature into padding which helps to create a flatter pressing surface. More on this below. How are EasyPress 2 and a typical Heat Press similar? Let’s start with size, weight and portability differences. Questions to ask: Is my craft table stable and large enough for a heat press? 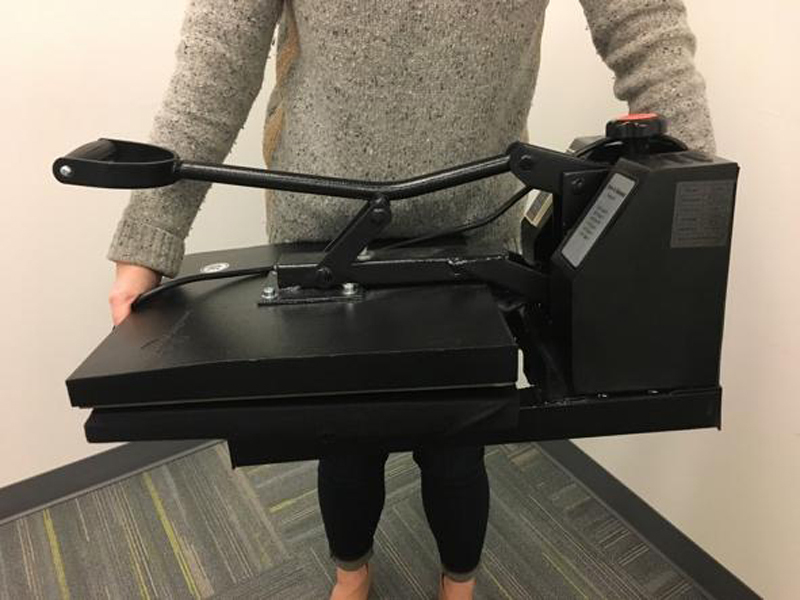 Will I be able to lift a heat press if necessary? Do I want a portable machine I can take from room-to-room or to a friend’s house: think crafternoons, baby or wedding showers, birthday parties? 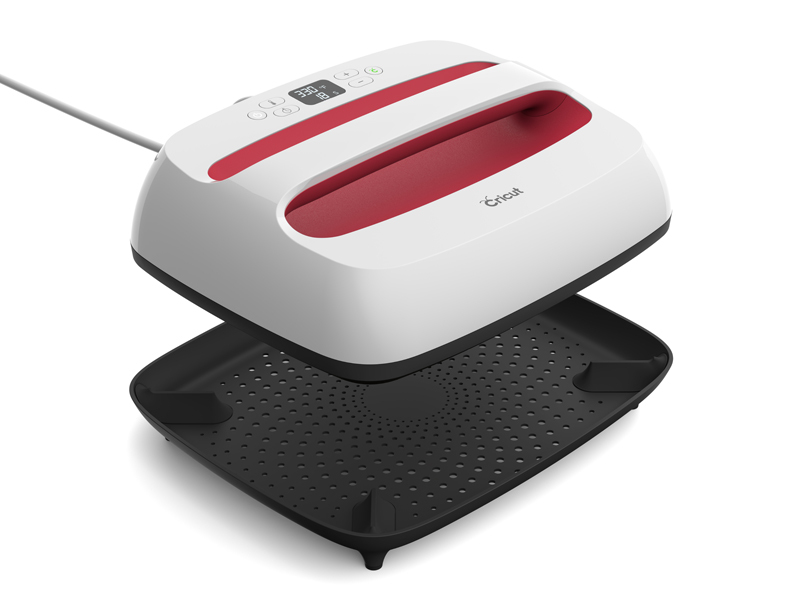 Heat Press: Most heat presses weigh 45 lbs – or more – and take up considerable space on your craft table. 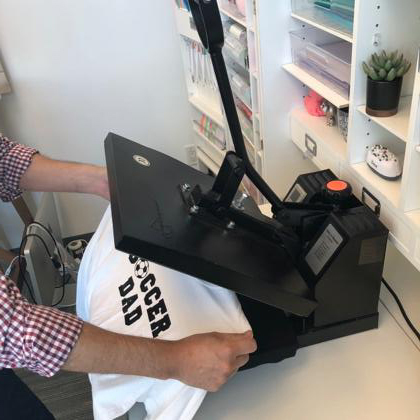 A heat press is typically a permanent fixture; once it is placed in your workspace, you will likely not want to move it again. 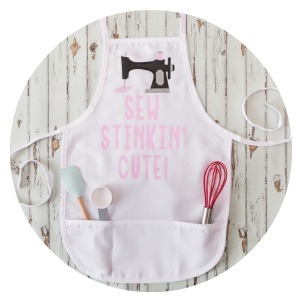 Questions to ask: The key questions is, “what size will work best for my typical projects?” Do you make small things for baby, t-shirts for tweens, teens or teams, or larger tote bags, towels or blankets? Ideally, the heat plate dimensions should be large enough to cover the area of your iron-on project, without seams, zippers or trim interfering in a successful outcome. 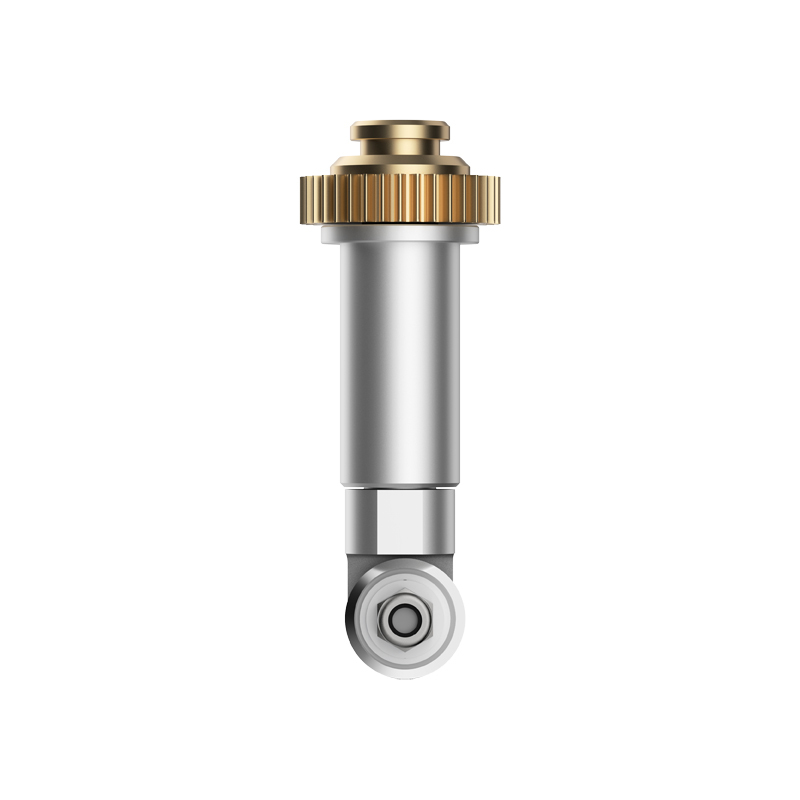 EasyPress 2: EasyPress 2 comes in three sizes so that you can select the right size for your projects. For example, the 6” x 7” EasyPress 2 is perfect for a small surface when making it flat is challenging, like on baby t-shirts or bodysuits. Seams create an uneven surface and can disrupt the successful application of iron-on – bummer. 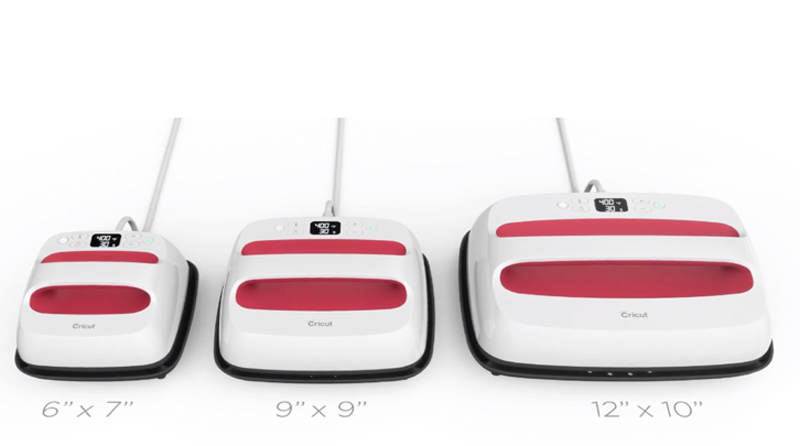 To learn more about the advantages of each size, see our blog: Which one is right for you? Heat Press: Most heat press plates are 15” x 15” or larger (mostly for commercial purposes). The large surface area provides coverage for most iron-on projects that you can fit between the plates. They use a lot of pressure to compensate for squishing seams, collars or anything else that could get in the way of transferring your design onto a completely flat surface. Questions to ask: What types of projects will I be making? Do I want versatility to apply iron-on to rounded items like hats, household décor or dimensional projects like the wooden stool pictured above. EasyPress 2: EasyPress 2 works on all types of materials, thicknesses, and dimensional projects, (like a hat, stool or sign). See the kid’s wooden stool project in Design Space as an example of applying iron-on to a larger object. 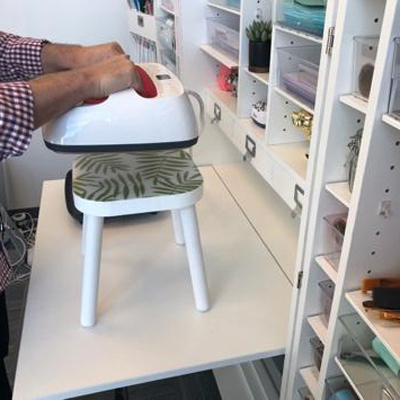 Imagine trying to fit a wooden stool into a heat press … talk about a craft fail! Heat Press: With a clamshell or swing arm design, projects need to lie flat so they can be pressed between two plates. 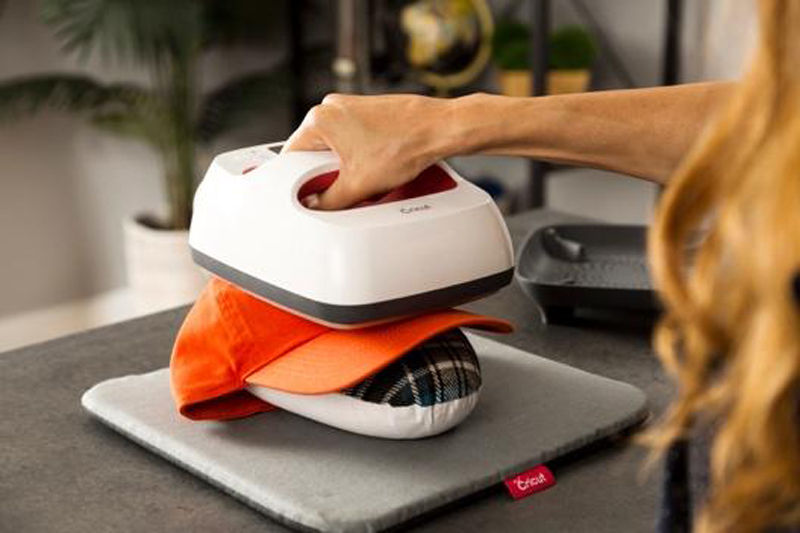 Some machines come with add-ons that will help with applying iron-on to smaller rounder objects like hats. Questions to ask: Do I have surge protection available or dedicated 20-amp circuit? Does my workspace need to be kid-friendly? 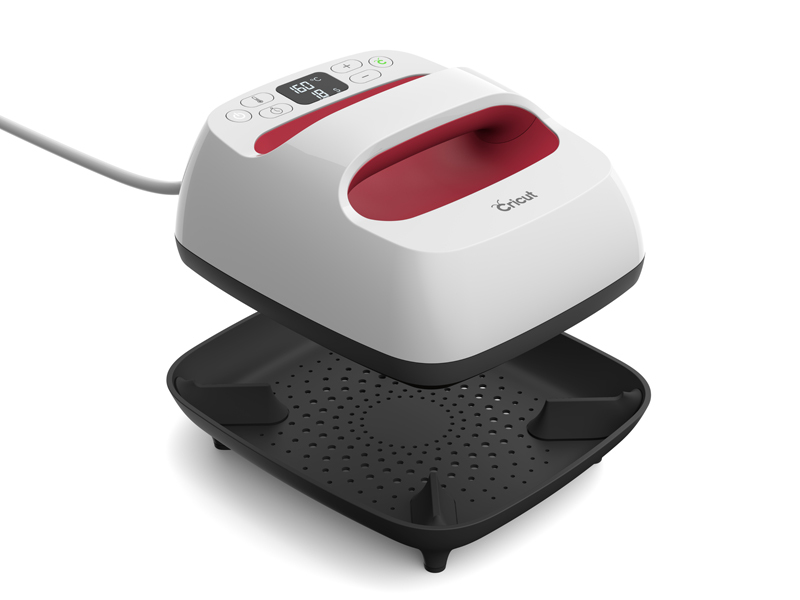 EasyPress 2: EasyPress 2 comes with streamlined safety base, a safe-touch plastic shell, has an auto shut-off feature and does not require a dedicated power outlet. Heat Press: Built for commercial purposes primarily, heat presses require dedicated power outlets to avoid tripping circuits. These machines generate a lot of heat and to operate them you are putting the item – not to mention your hands – between plates. You’ll also want to keep kids a safe distance away. Heat presses do not have an auto-off feature. Questions to ask: How many iron-on projects will I most likely plan to make at one time? And, will I be producing repeat projects using the same design over-and-over (more than 10 at a time)? Heat Press: It can take up to 8 minutes or more for heat press to warm up to 315 degrees Fahrenheit. In the time it takes a heat press to warm up, it is possible to have applied iron-on to five t-shirts using an EasyPress 2. To be fair, once the heat press has reached the desired temperature, it is typically faster making the same project over-and-over as long as you are using the same design, iron-on material, and base: 10 or more t-shirts, for example. 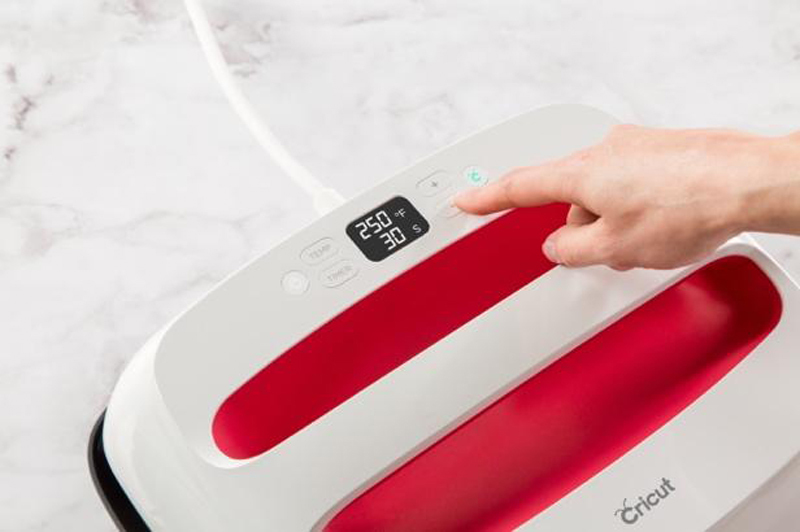 *Cricut provides an interactive quick reference guide so you know the correct time and temperature settings and peel recommendations for your specific iron‑on project. 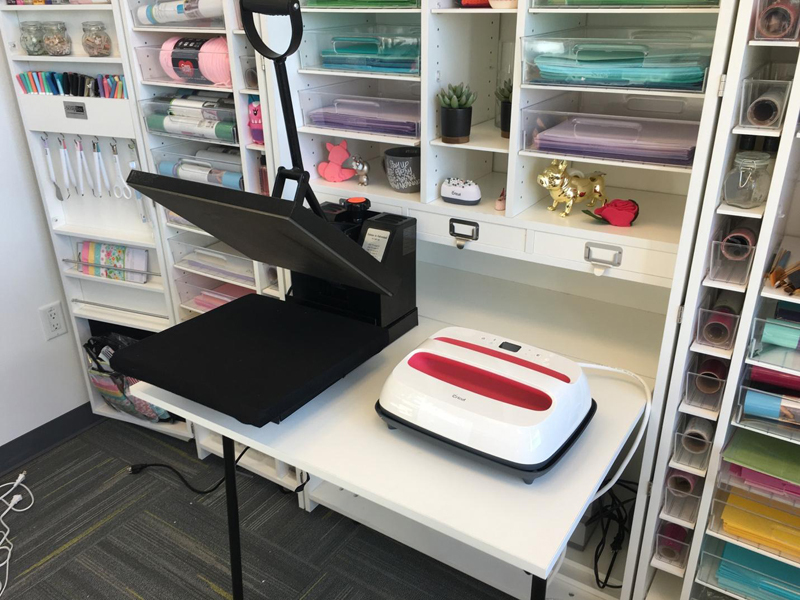 If you have a small crafting business with plenty of space and want to produce the same projects over-and-over (over 10 times, for example), you might prefer a heat press. 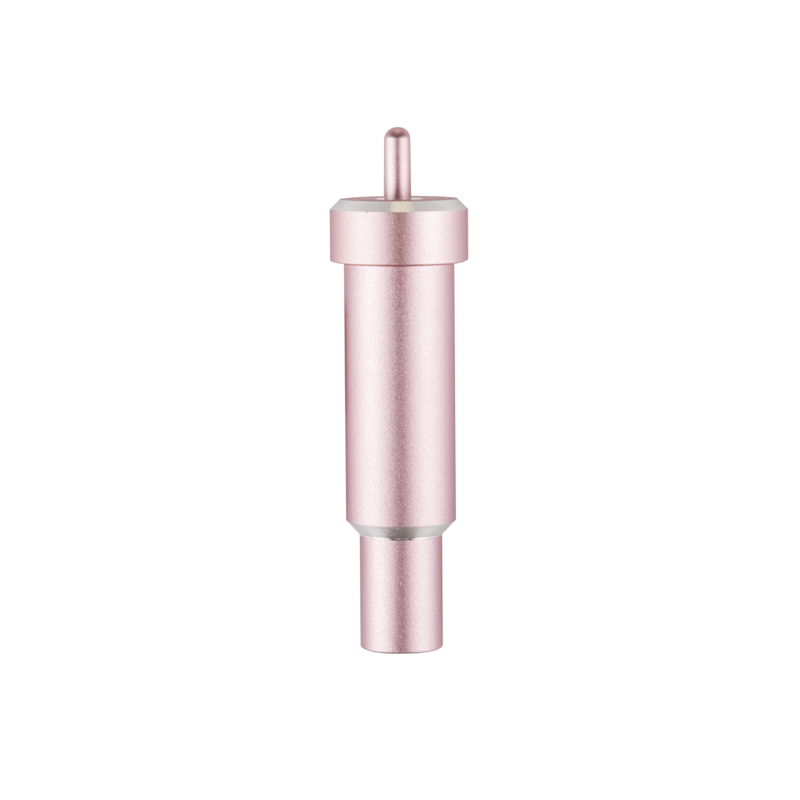 If you are a crafter who wants professional results using a lightweight, mobile, versatile and safety-first option, the EasyPress 2 is the clear choice. If you are still not sure and have questions about Easy Press 2, please see our informative FAQ page or watch EasyPress 2 education videos. And, no matter which machine you own (or end up purchasing), be sure to consider high-quality Cricut Iron-on. If you already have one or the other, please leave a comment below – we’d love to hear from you. 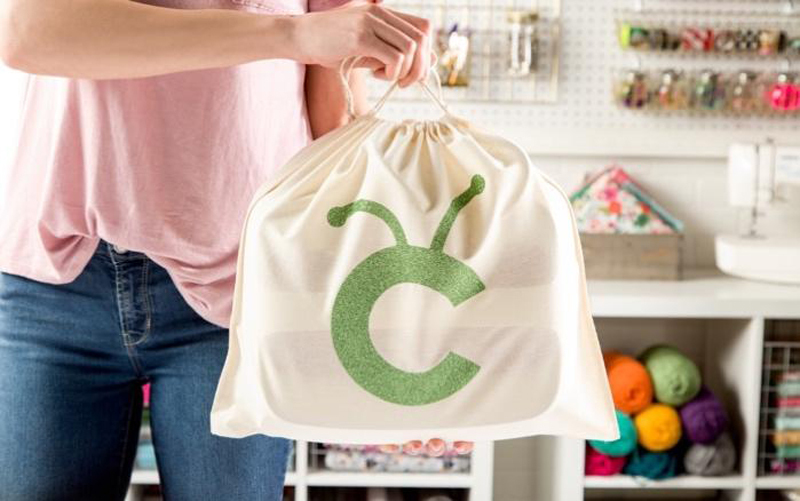 We are excited to announce new updates to our Cricut Access subscriptions that will help you get even more from your membership. 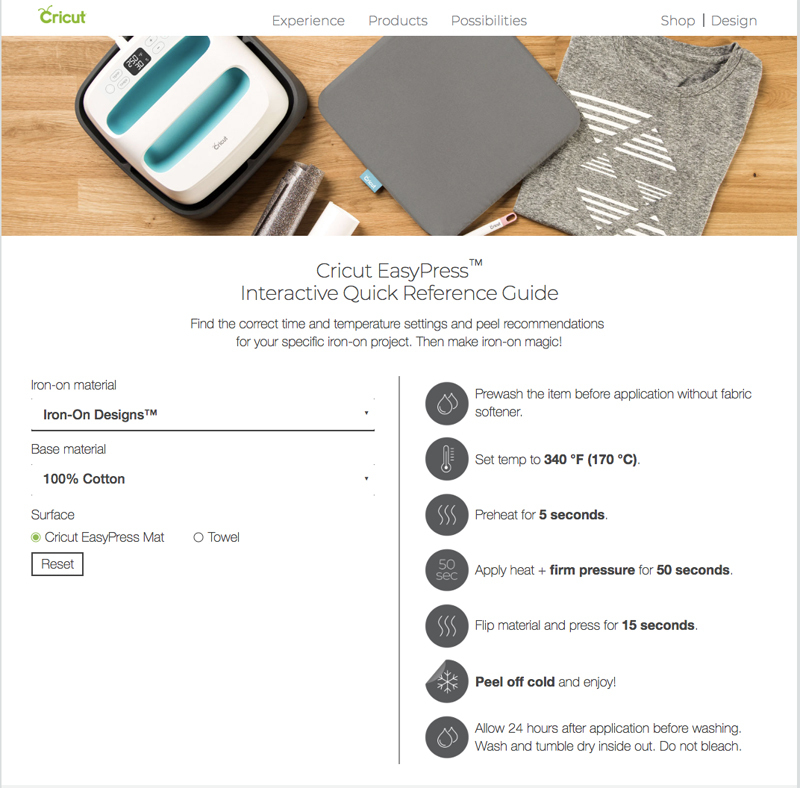 If you are new to Cricut, Cricut Access is our subscription service (think Netflix for crafters) where you can sign-up for different levels that unlock thousands of digital images, fonts and projects in Design Space as well as promotions unique to Cricut Access subscribers on Cricut.com. 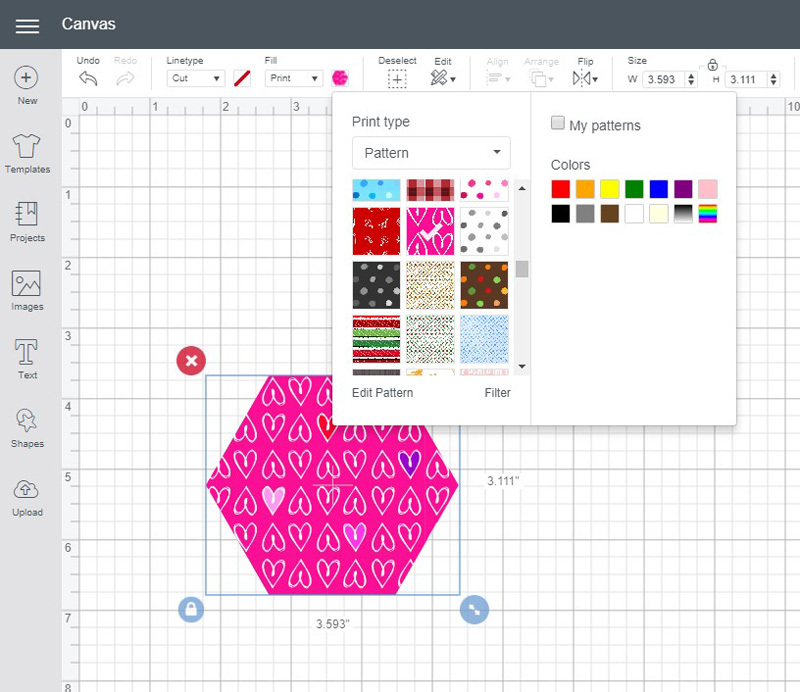 You can design anywhere on any device with Design Space and create with Cricut Access content. 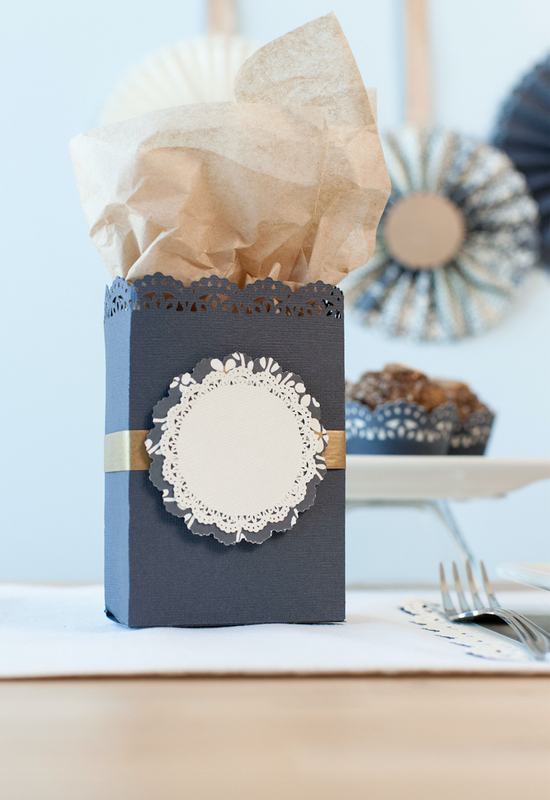 Cricut Access gives you limitless design possibilities. 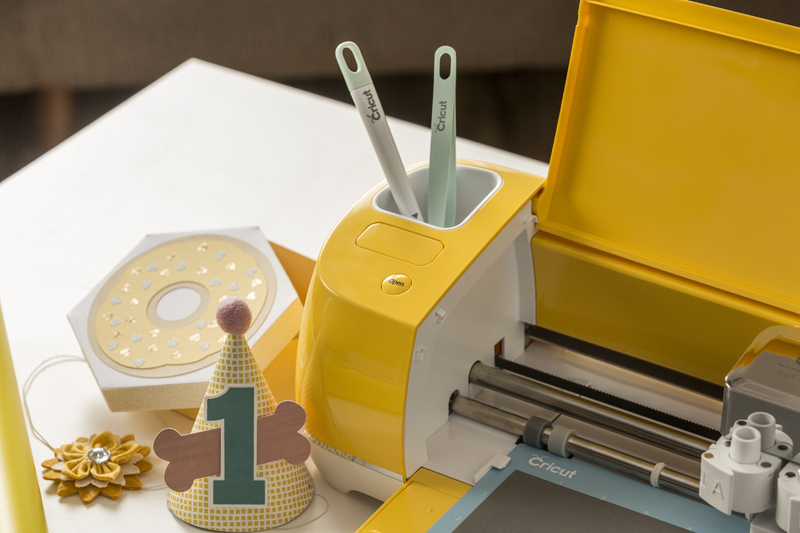 We are striving to make Cricut Access even better by giving you more digital images with the best subscriptions. 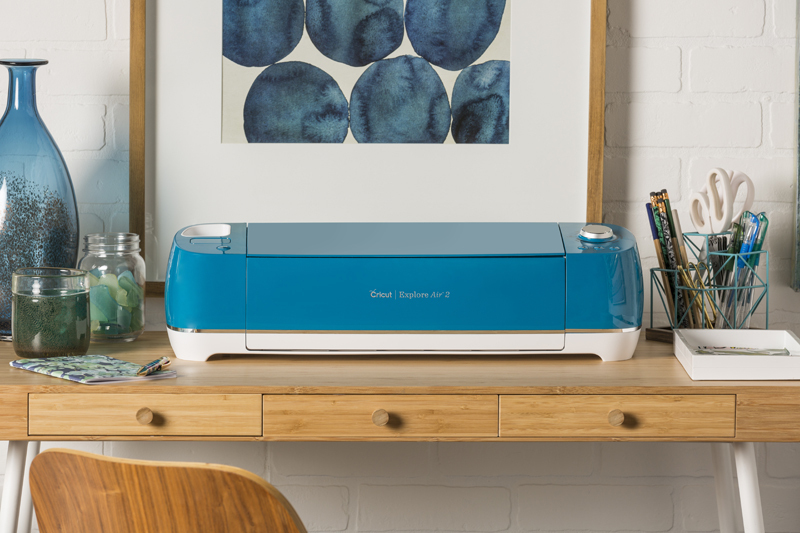 This is why we’ve added 20,000+ new images into our Cricut Access library. Cricut Access now has more than 50,000 images and counting. We’re adding more and more so that you can create amazing projects. 50,000 images and counting with Cricut Access. If you are a current Cricut Access member, there are changes that might impact your account, but we promise you, they are great changes! You will not lose access to any content but rather gain more, like digital images and ready-to-make projects. 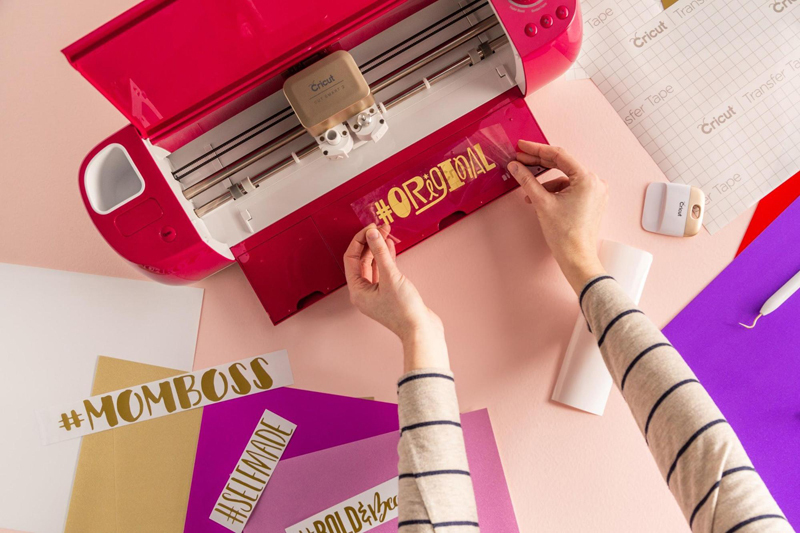 With Cricut Access Premium, you can create incredible ready-to-make licensed projects in Design Space for up to 50% off, including festive favorites from Anna Griffin. What Cricut Access subscription is right for me? We want to make sure you pick the right subscription for you. If you Shop Cricut.com all the time and want to use more licensed content, like Disney and others, the Cricut Access Premium subscription is the right option for you. You will get all of the benefits and so much more. 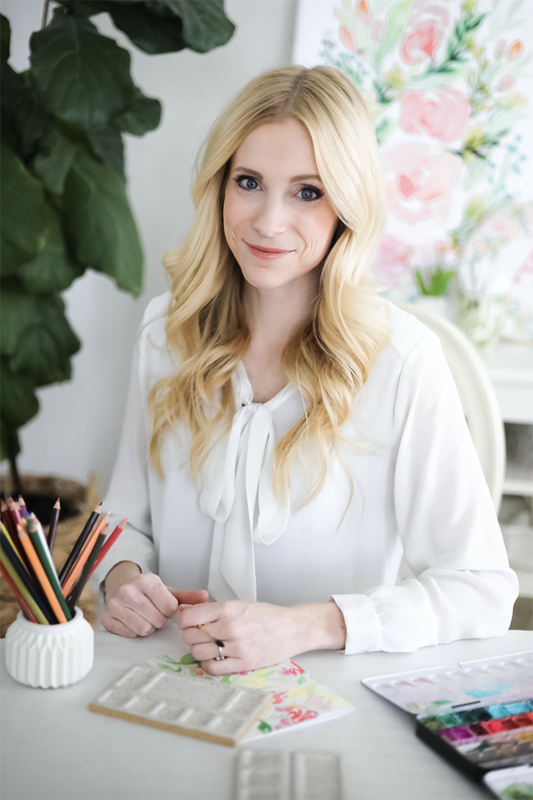 If you are crafting all of the time using Cricut Access content but are not interested in licensed content, we recommend the Cricut Access Annual subscription because you will not have to worry about reassessing your options for a year. 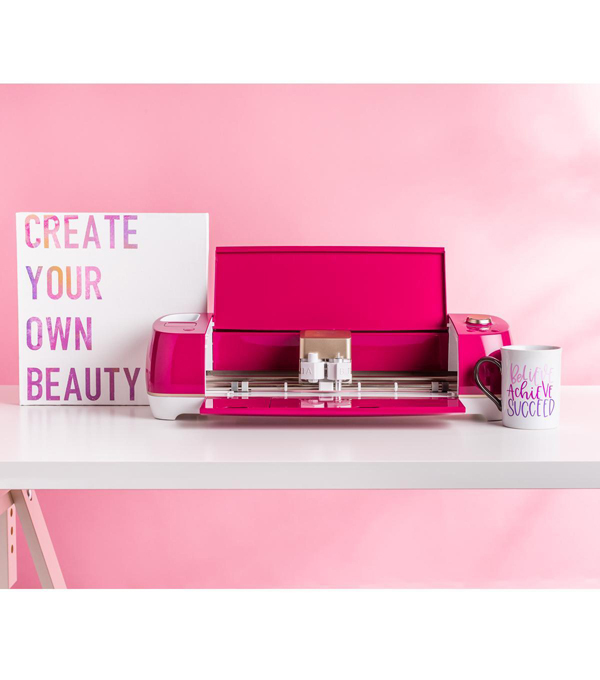 If you are someone who prefers to go month-to-month because you’re not sure how often you will use Cricut Access content, the Cricut Access Monthly subscription is a great option for you. What if I currently have the Fonts subscription (either monthly or annual)? You are automatically upgraded! Moving forward, Cricut will no longer offer the Fonts subscription plan. If you are currently Fonts subscriber (monthly or annual) you have been automatically upgraded to Cricut Access Monthly or Annual, whichever matches your current plan, at no additional cost. You will be able to access all your fonts plus all of the great images for the same price as your current subscription, until you cancel or change your plan. To celebrate all of our new Cricut Access digital images, we have exciting promotions on Cricut Access pricing that you can see on Cricut.com. Make sure you check it out!